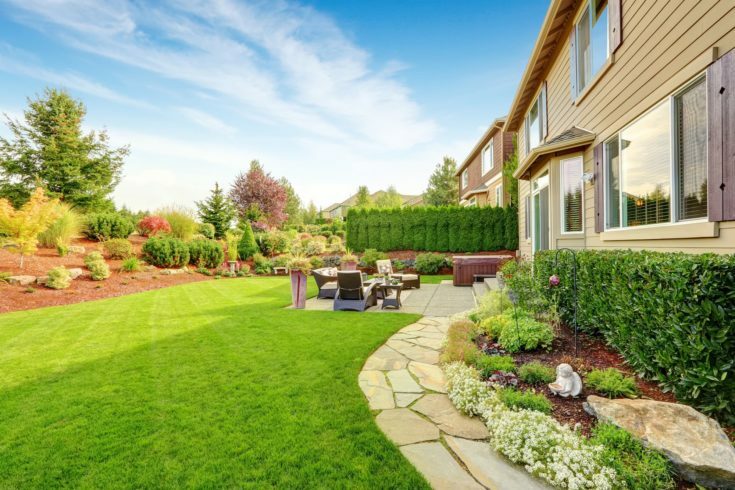 Whether you have recently purchased a new home with property, or are simply wanting a new look for an existing yard, creating a list of ideas is a good way to get your creative juices flowing. 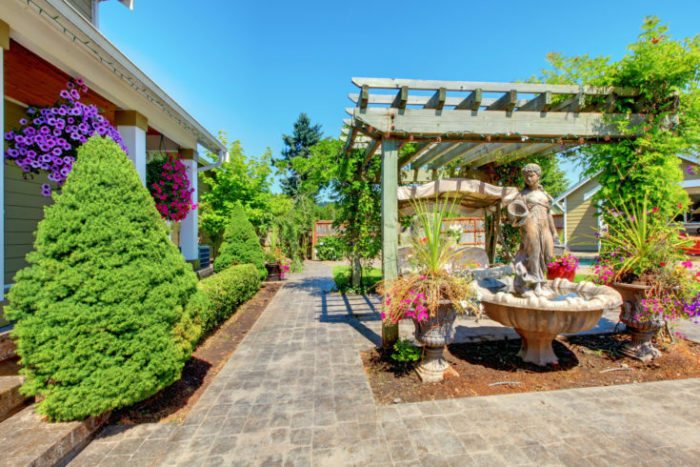 Even if you have a particular vision in mind, looking over what other people have done can help you get an idea of spatial arrangement, and what looks good together in reference to plantings, garden features, or even entertainment areas. 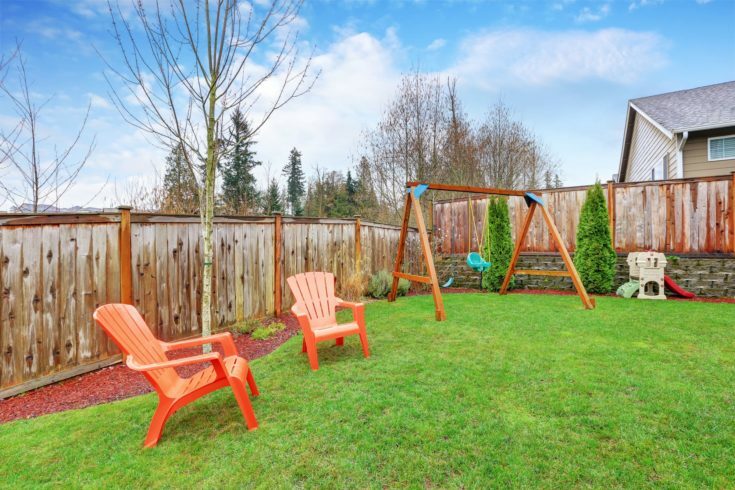 The many outdoor ideas for the backyard presented below provide plenty of inspiration for planning and prepping for your landscaping needs. These unique ideas can serve as a great foundation for your own ideas to take shape from. It’s often the small details that complete the look you are trying to achieve. Whether you have an indoor garden area to add to or are looking for some small features for porches, patios, or deck, mossy rocks can add a touch of interest in any potted plants or fairy gardens. 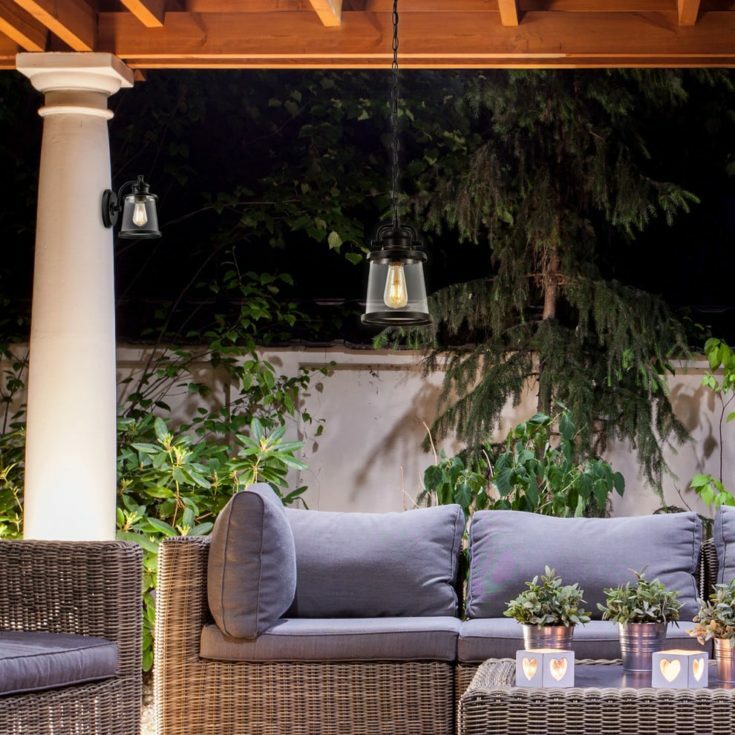 Solar garden lights are a popular feature to help showcase your hard work as the night begins to fall. And why settle for plain, boring lighting just like everyone else has? Instead, add a personalized touch that helps highlight who you are, and make it interesting for all who visit. 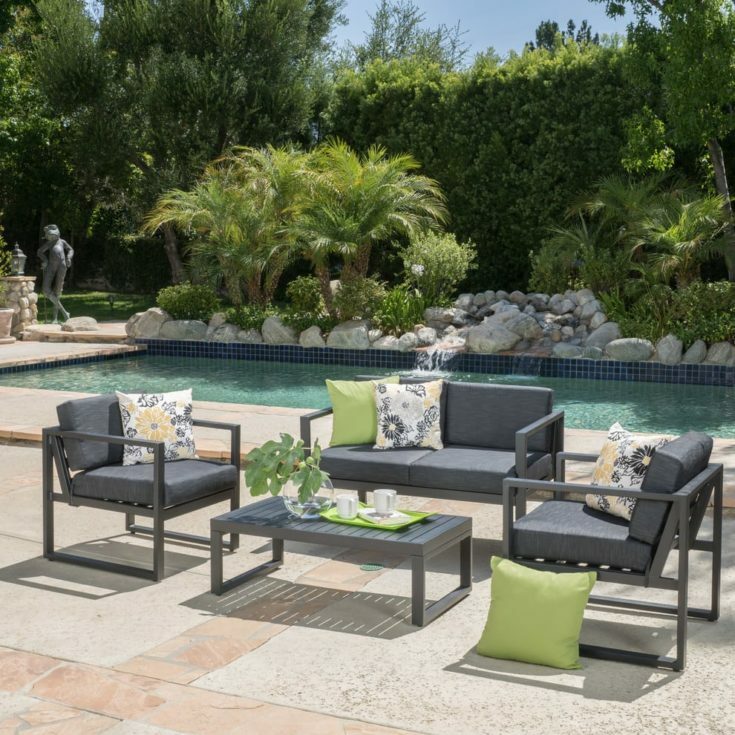 Enjoy your outdoor area by providing a specific place for your own comfort. 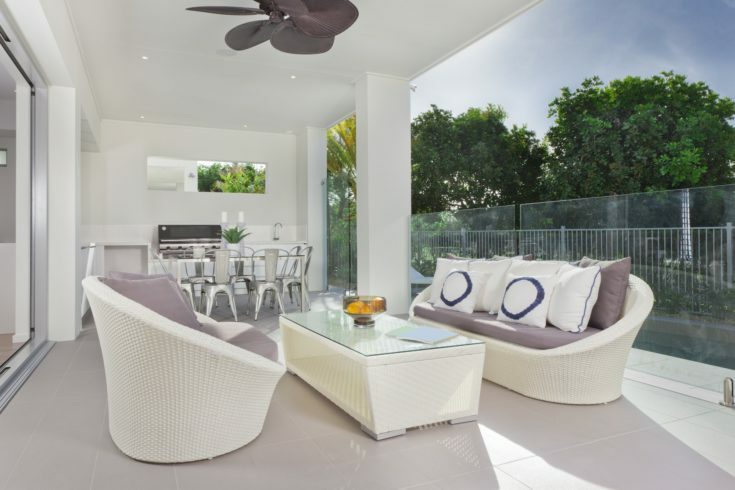 As a private getaway or a place to entertain, a weatherproof, comfortable lounge area is perfect for gatherings and relaxation. Arborvitae or similar evergreens are perfect certain living fences that add both a beautiful backdrop and texture to your landscaping. 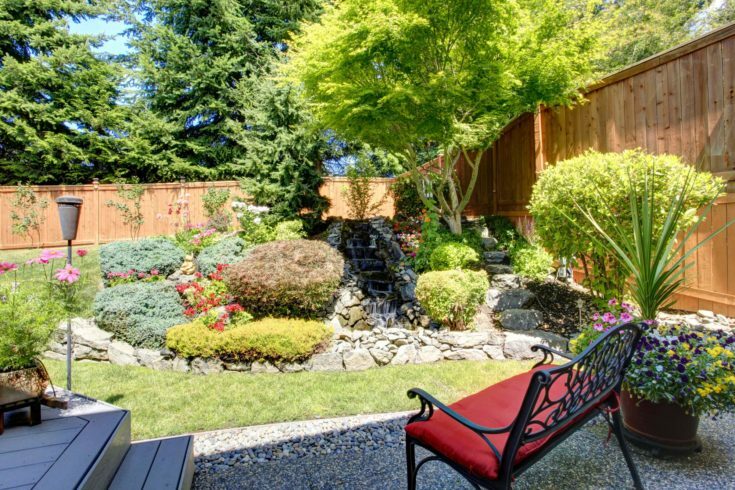 It is much more personal than a tall wooden fence, and more inviting to your neighbors as well. 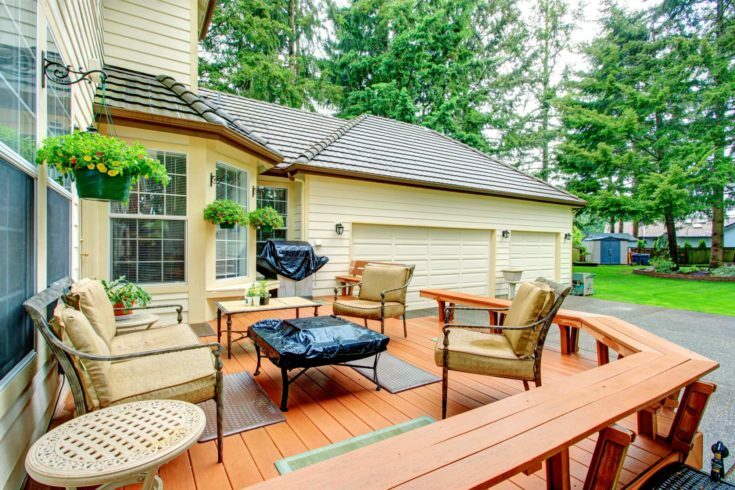 Although decks are popular, they often require a lot of upkeep. Patios are long lasting, easier to maintain, and still, provide an excellent place to gather and put your own personalized touches on. 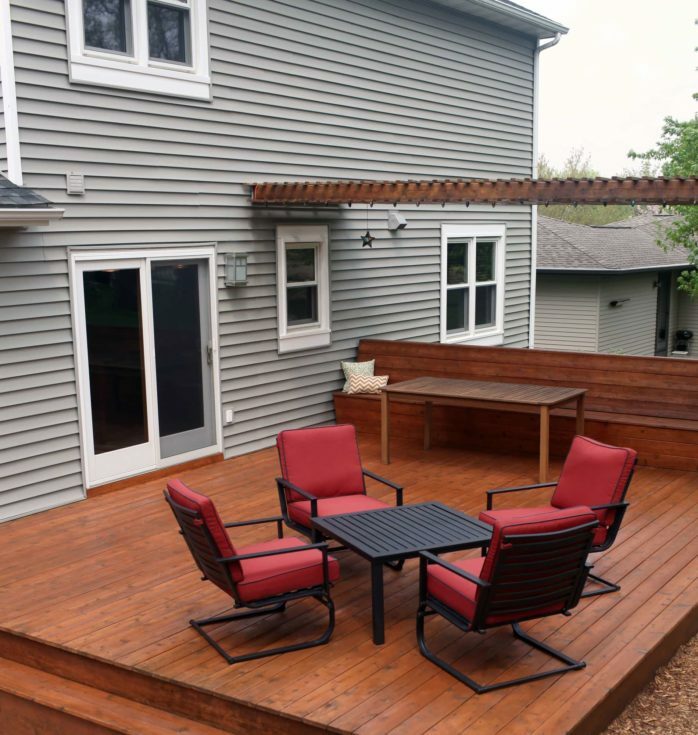 Overlook your backyard from a lofty height with a designer deck shape made to entertain and provide a peaceful getaway off the lawn. 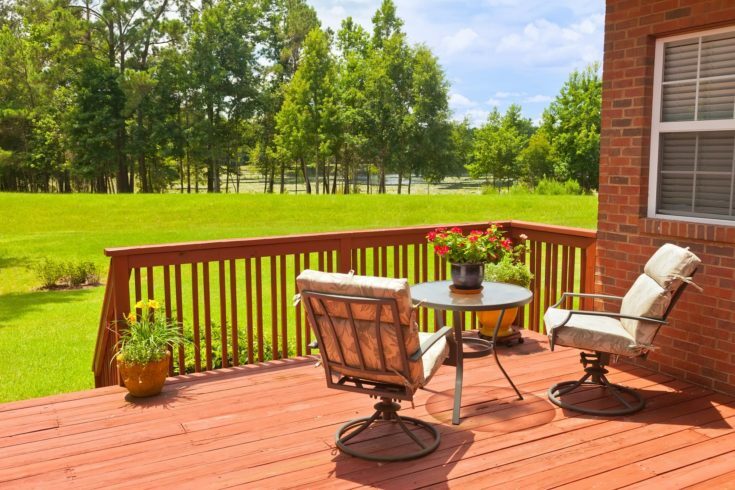 Decks are a popular place to gather and relax upon, and also are a great addition to your home. Water features are often popular to help provide both interests and draw in favored birds and pollinators. 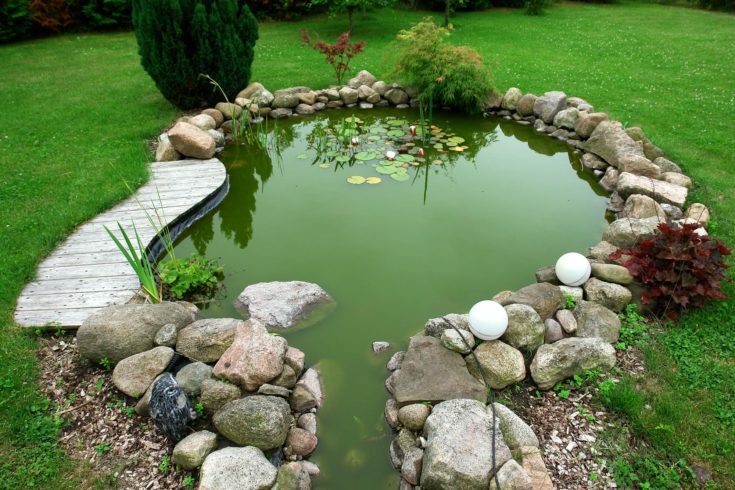 All yard designs, big or small, can benefit from a natural pond of some sort as the main attraction. 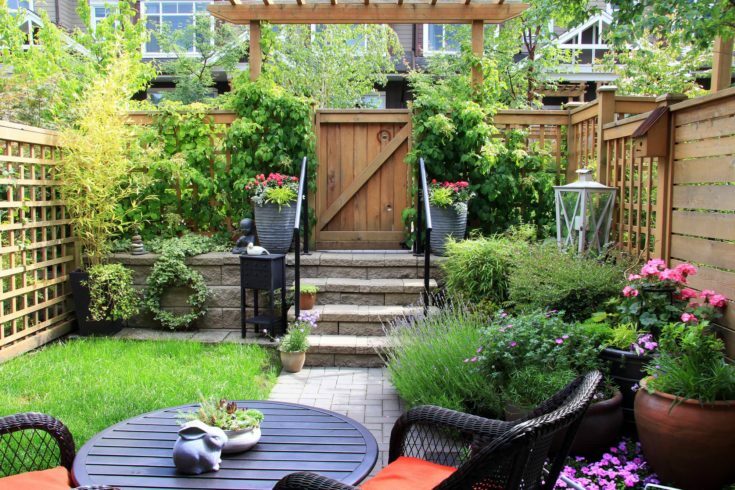 Arbors of all sorts are popular in both big and small yards alike. 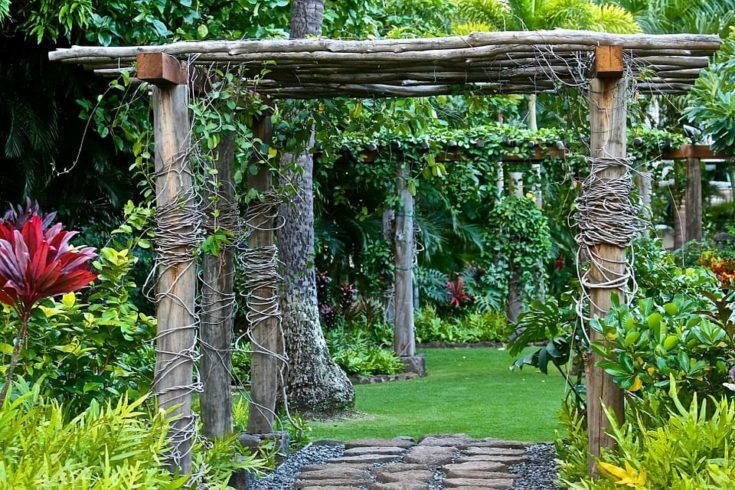 Choose contemporary designs in wrought iron and clean whites, or take a more rustic route and let your trailing vines provide a unique view year after year. 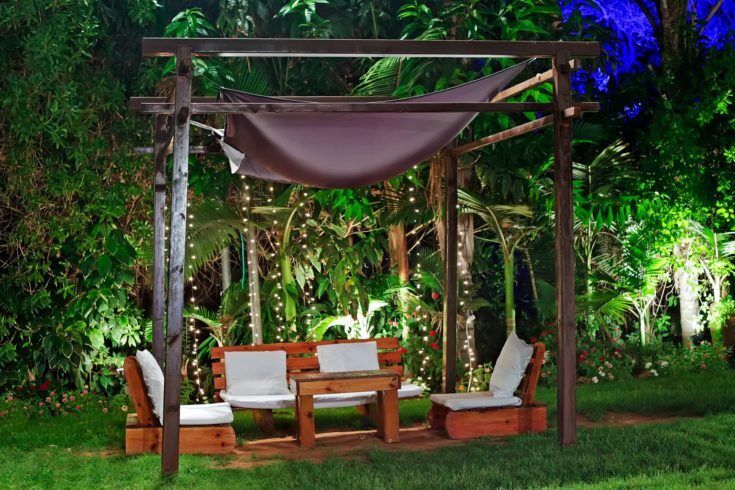 Provide a place for privacy and intimacy with your own covered area. 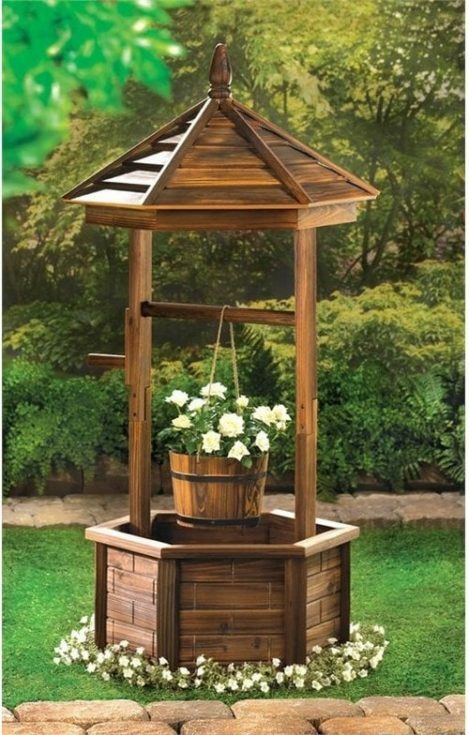 You can also use this type of structure to grow your very own vegetation over it and provide a fragrant zone of colorful flowers. A roaring outdoor fireplace frames the water beyond to provide the best of both worlds when enjoying your outdoor sitting area. 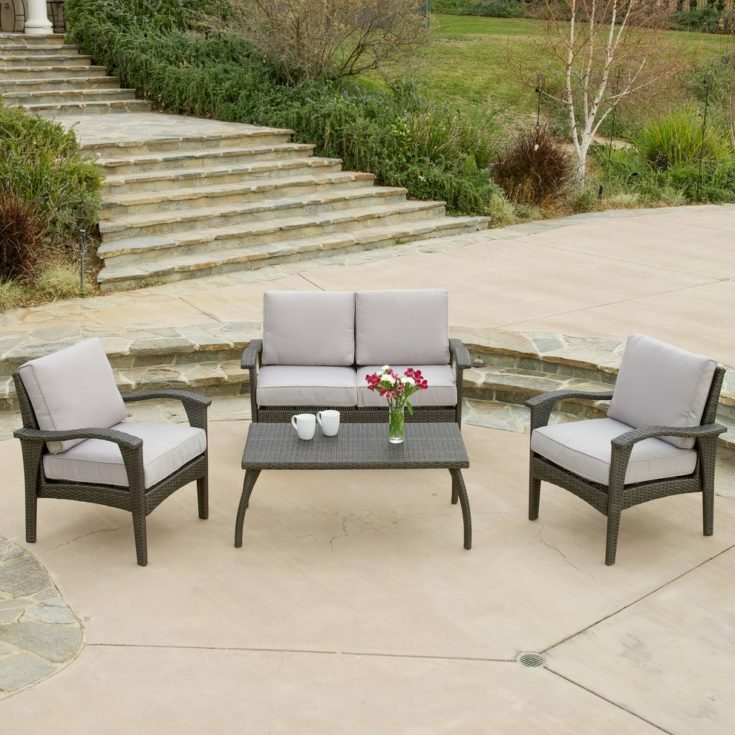 Cushioned seating can be easily reconfigured for various needs- whether a nice intimate chat by the fire is ideal, or a more social event is occurring. 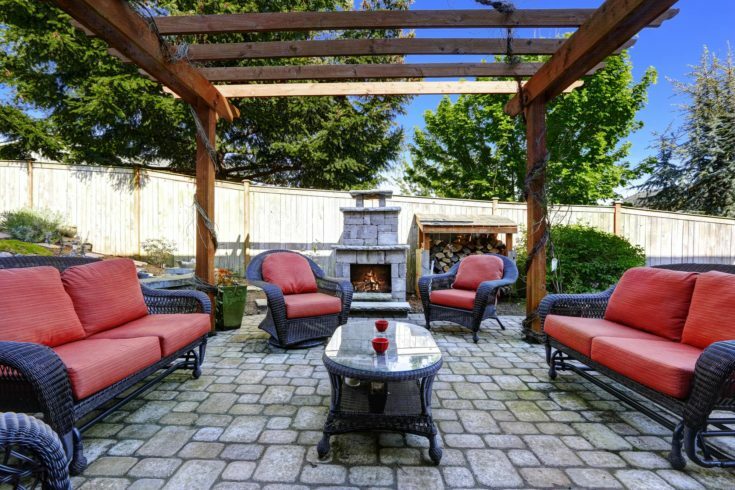 You don’t need any specialized sitting area to sit back and relax while enjoying your property. 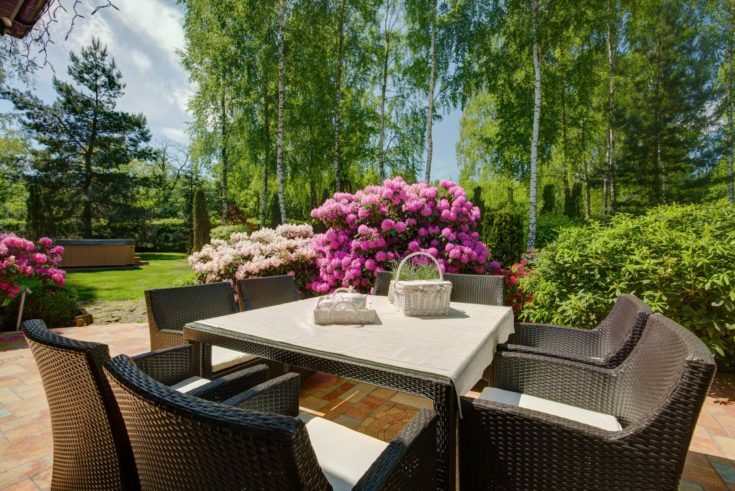 Sometimes a more natural effect unbroken by any landscaping detail is all you need for the perfect setting. 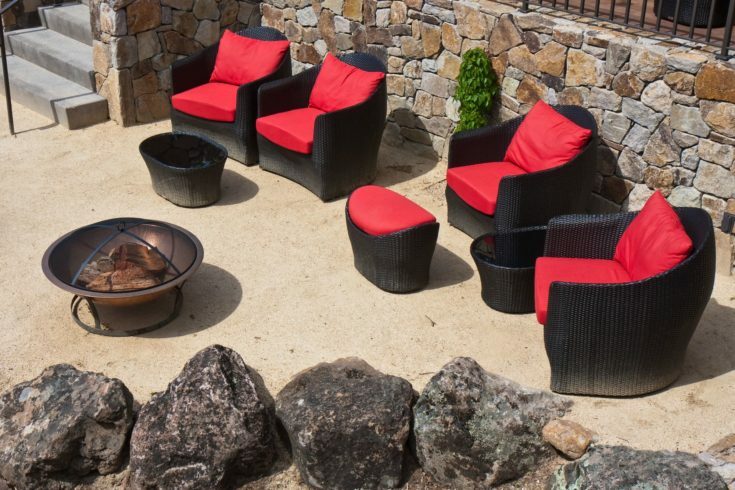 A raised fire pit, patio, and some comfortable chairs are all you need to welcome in the evening. 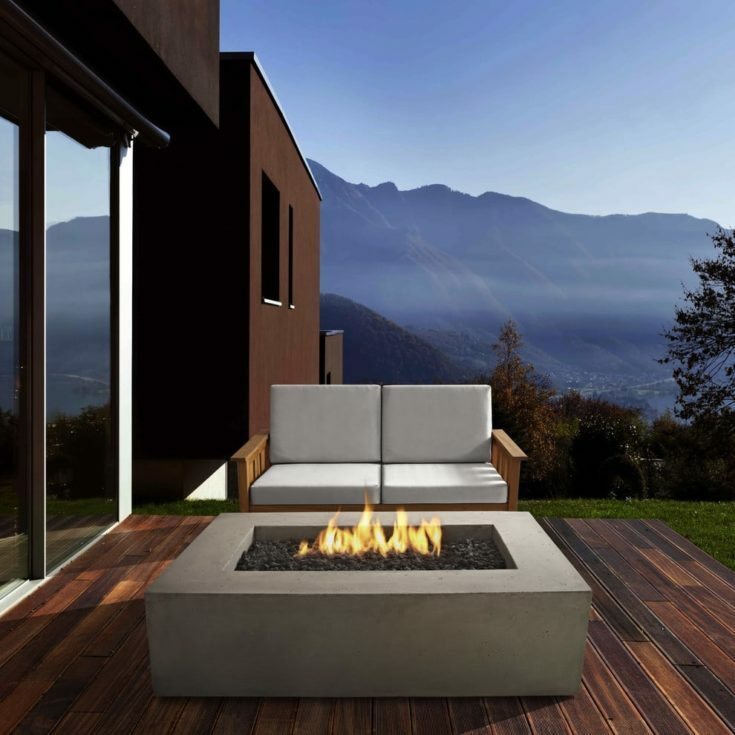 DIY firepits are popular and generally easy to make, but even if you feel you don’t have the space for something large, consider a smaller version for enjoyment. 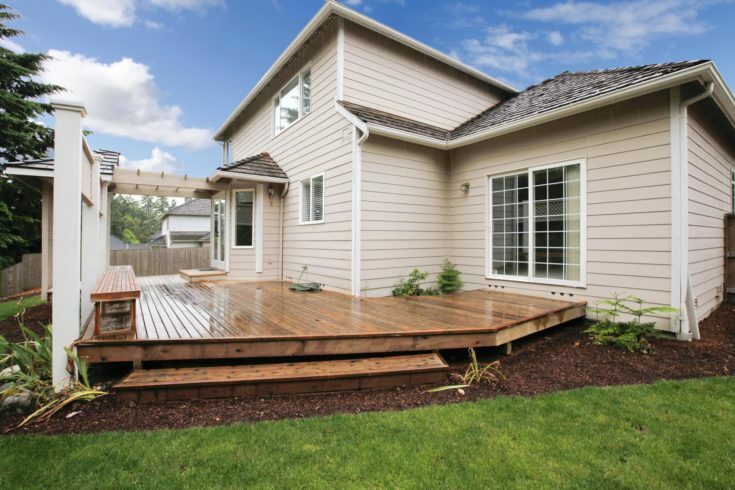 Don’t disregard the small spaces you have as not fit for a deck. Sometimes the most unexpected areas are perfect for a small, intimate sitting area. For example, the front of the house is often overlooked as the perfect placement. 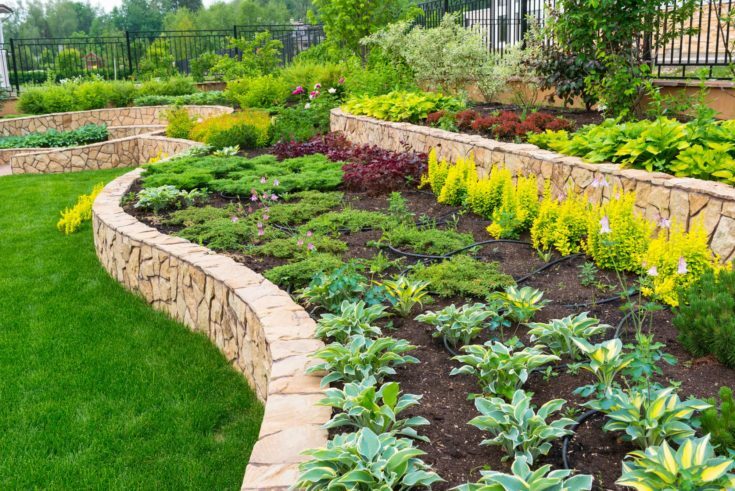 Tiered, raised garden beds and borders allow for a gradual rise to your home if you happen to have interesting landscaping rises and falls. Place your lower growing ground covers and interesting textures along the bottom rows, and taller plants along the background. 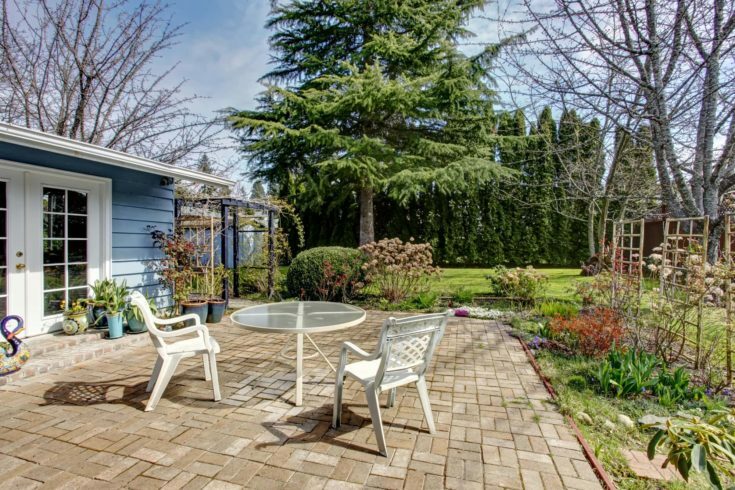 A small backyard doesn’t equate a boring backyard. 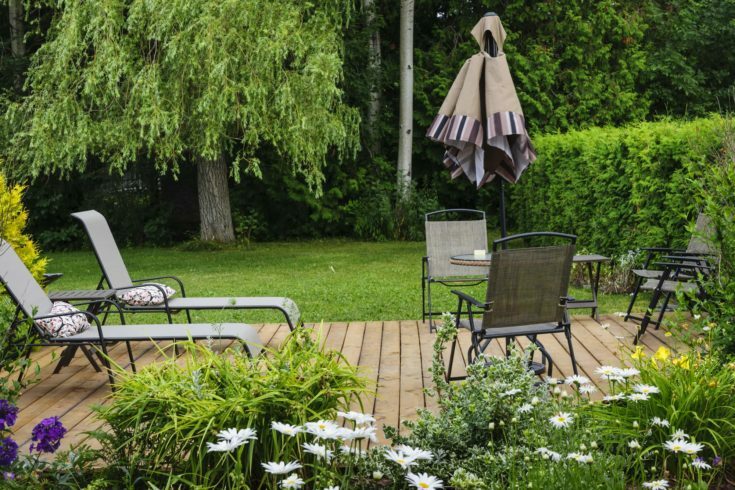 Deep fencing, decking, and sitting areas- along with some well-placed vegetation- can easily give the illusion of depth (and privacy). Add some potted plants for even more variety. 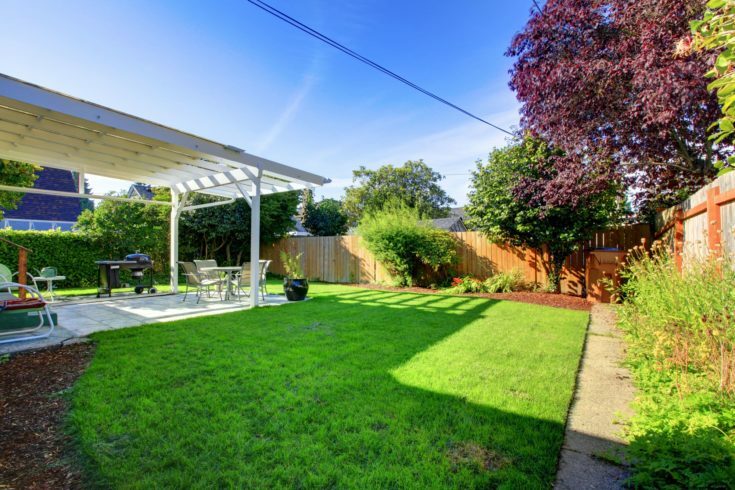 To fully enjoy your yard year round, you may want to consider some shade alternatives. These also double as protection from elements in all sorts of weather, and through all seasons. 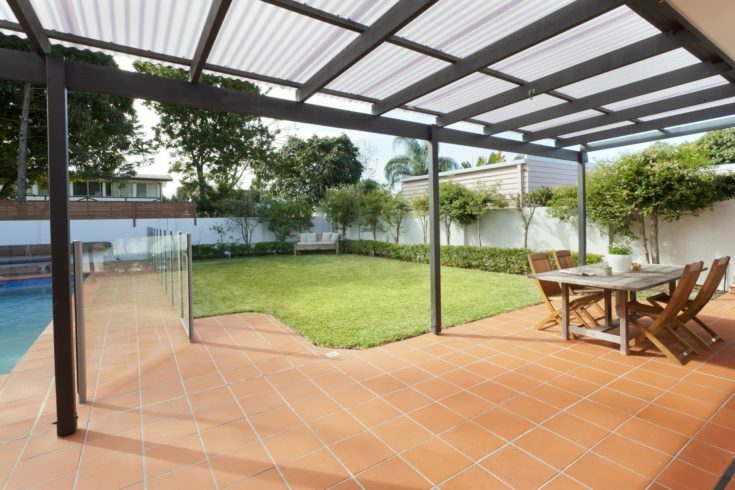 Structures can include gazebo designs, metal and tin structures, or even roof extensions over your patio area as shown here. If you have large areas of ground to cover, consider using slabs of stone and grow some hardy, green ground cover between each piece. 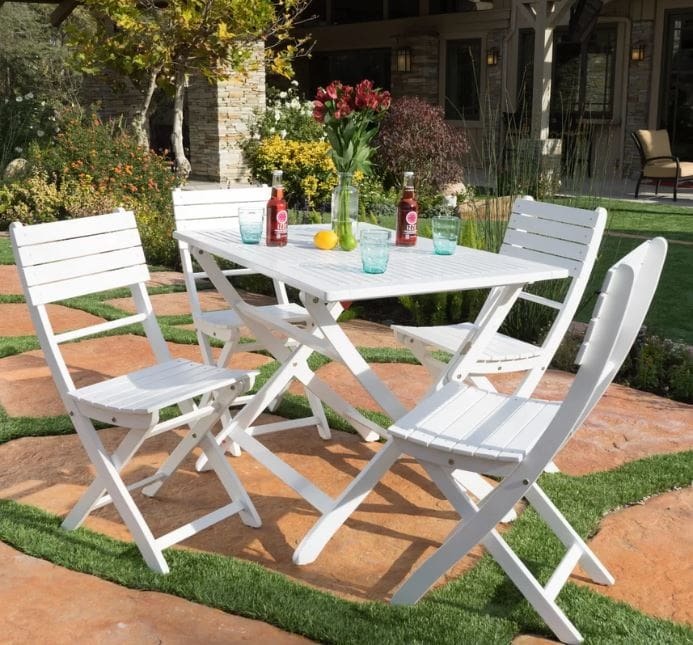 These are perfect for entertainment areas, and also work as an extension of your lawn without a harsh border. 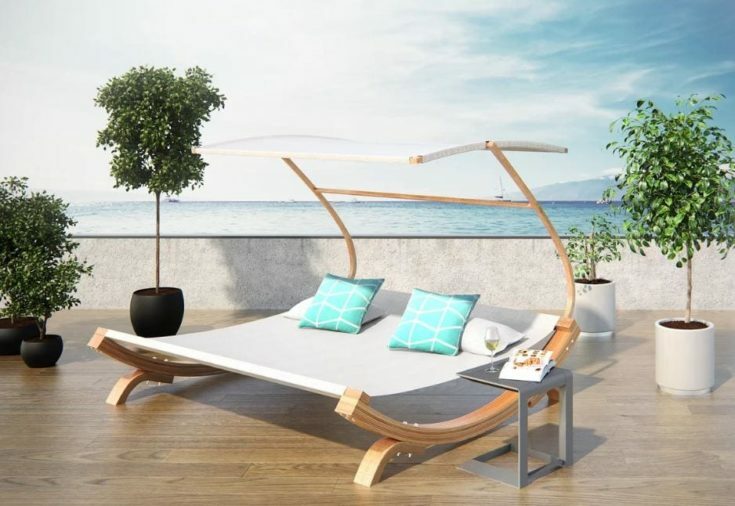 This cool take on a chaise lounge allows you to lay back and relax with your favorite person, and favorite drinks to while away a breezy afternoon. This weightless design is sure to become a fast favorite and should be reserved for the queen and king of the household. You don’t have to move into the deep forest to enjoy the gentle sound of running water. 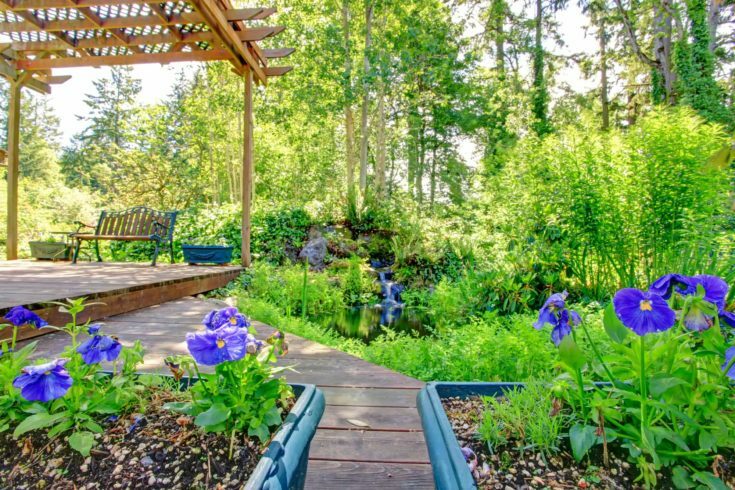 Take advantage of the low lying areas of your yard and create a natural landscape that incorporates your waterfall and pond features. If you have children, then you most likely dream of an area you can turn them loose in. 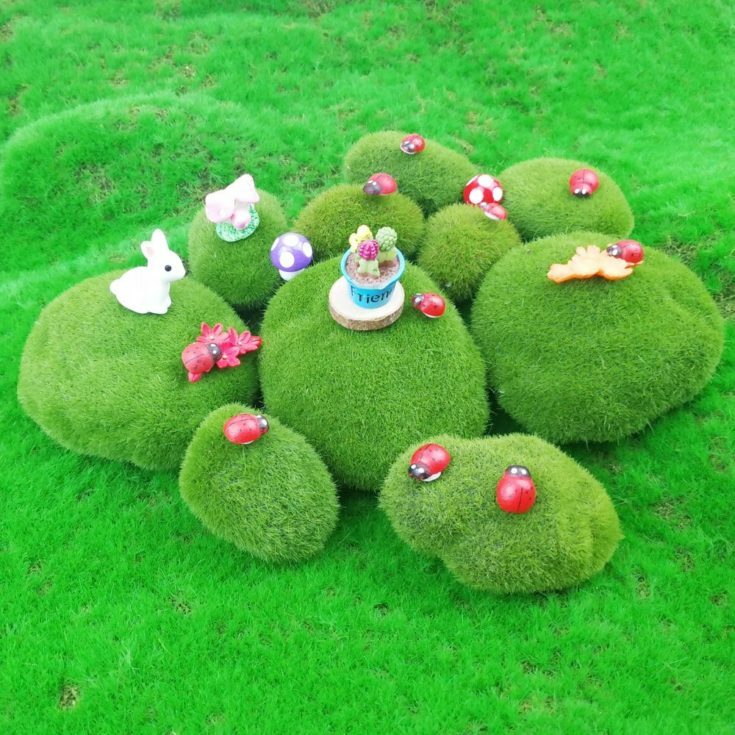 You can definitely take advantage of a grassy lawn to make specific to play, as well as entertainment, and gardening. If you like having a flower garden, then you are sure to have a few favored perennials that you enjoy watching grow and bloom each year. Annuals are often forgotten about as an amazing addition to adding borders, colors, and texture. These are often fast growing and come in an amazing array of choices to complement your more permanent plantings. Forgo a traditional pool- instead create a more natural look for a cooling, summertime experience. Slate slabs are the perfect landscaping solution if you want to hide more synthetic looking additions to your yard and garden. Cement slabs provide a lot of opportunity for decorative touches. 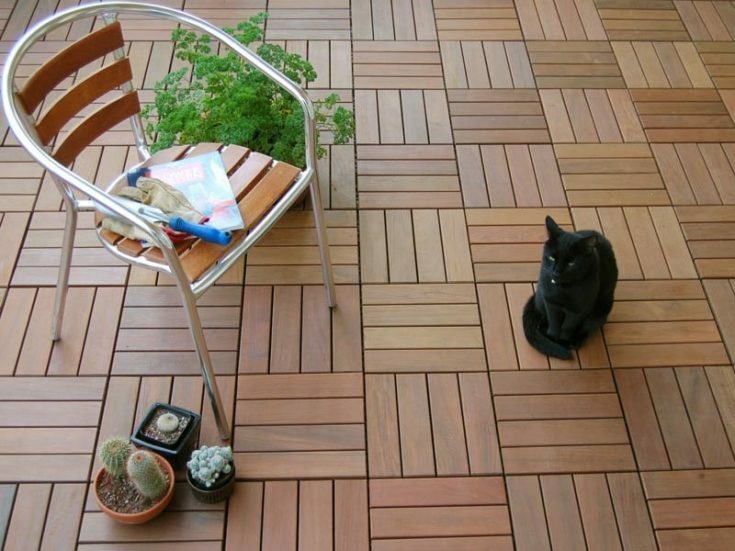 Variations in color, brick and cement mixtures or even designs can be utilized when designing and laying out your patio areas. 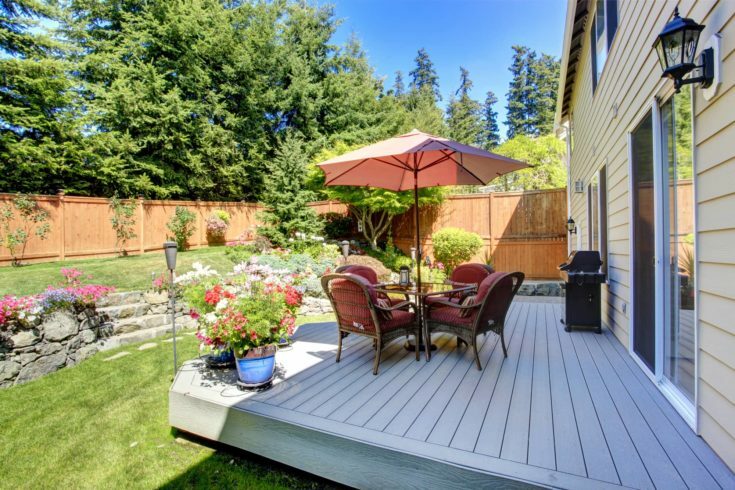 Decks are always a great place to gather and entertain, but it also provides a wonderful area to sit back and relax upon. 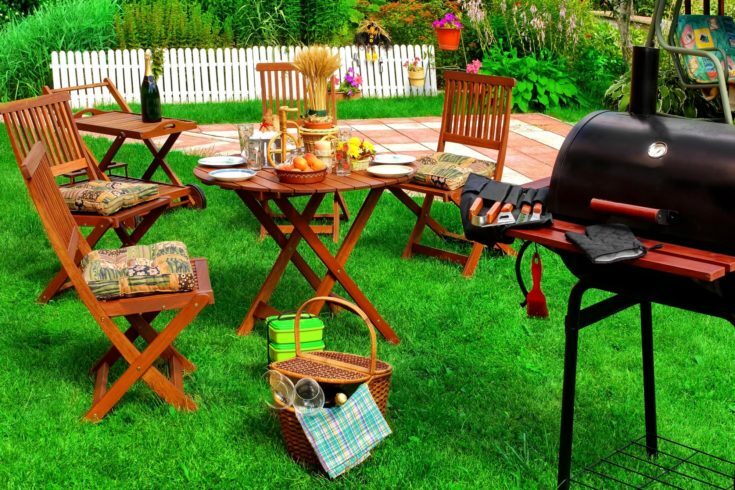 Family meals, board games, and great conversation occur when out of doors enjoying your yard. 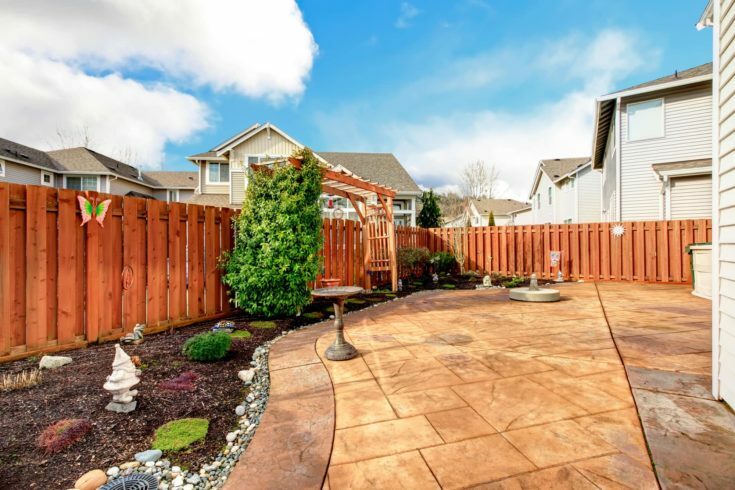 If you need a fencing solution but are not interested in fencing in your entire yard, consider a decorative choice for your needs. 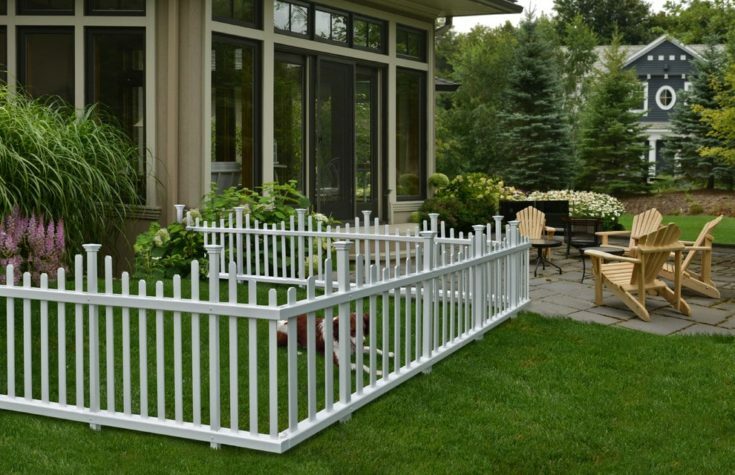 This white picket fence provides the protection needed for small pets and children and adds further interest. 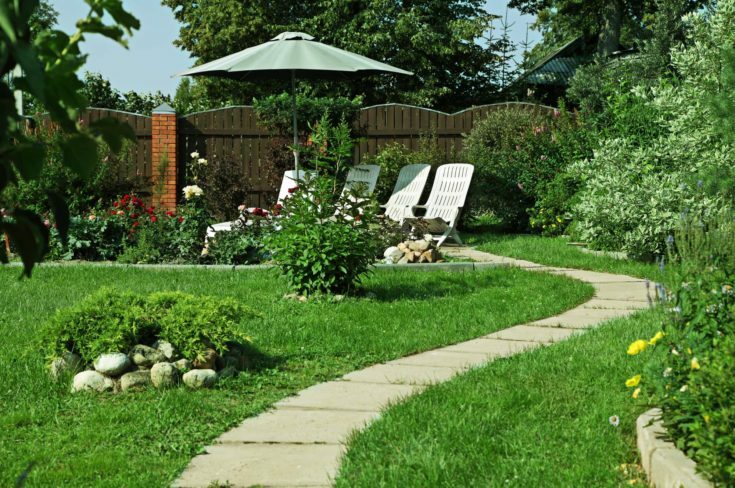 A meandering path of pebbles, stepping stones, or other materials provide interest, texture, and help break up a larger lawn. 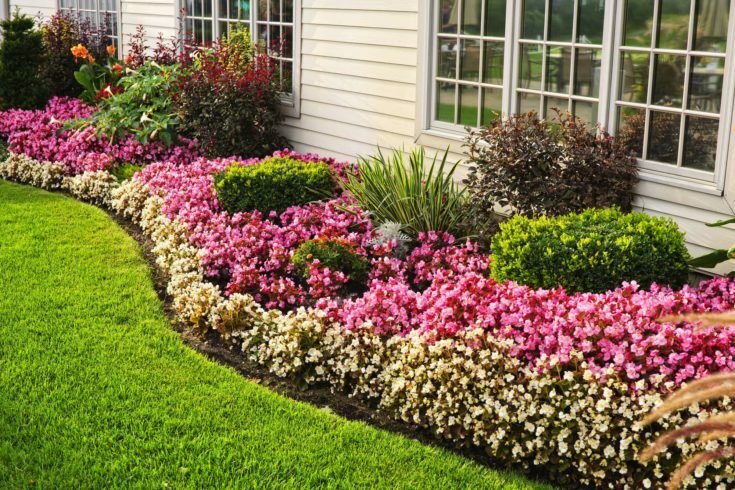 They also can serve as a garden border, or as a break between different areas of the yard. 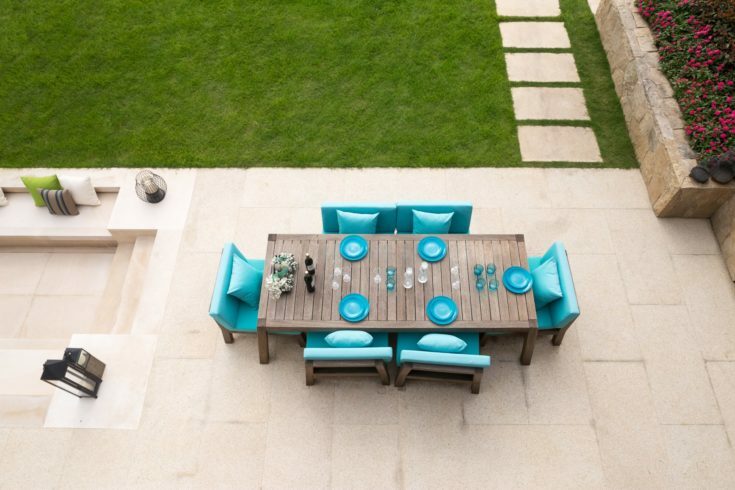 Tuck a private table away in your garden for a place to sit and talk, or quietly enjoy your surroundings. 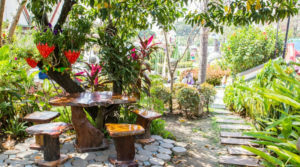 These quaint areas are often peaceful, and add interest to your gardens for all who visit. 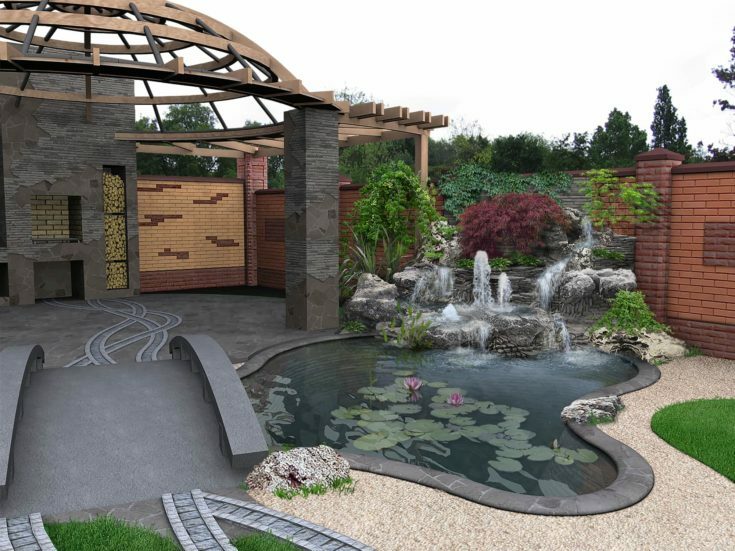 If you are lucky enough to be able to landscape a larger yard, consider water features and bridges as part of the overall decor. These are not only fun and provide something different to your view, but add to your landscapes value. 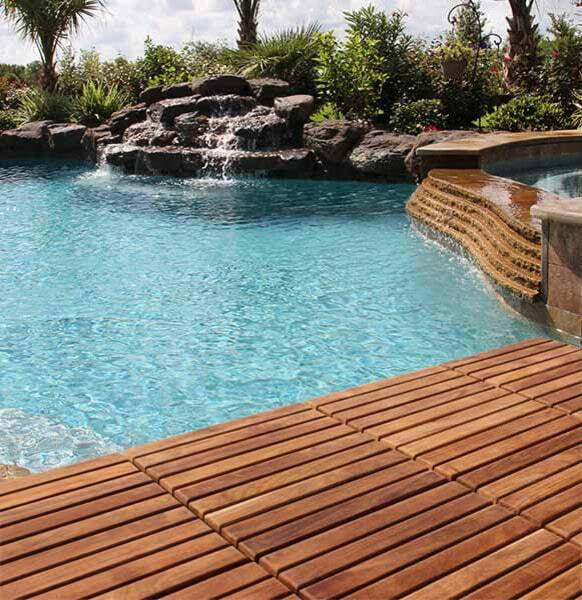 Build your lap pool directly into your decking area and take advantage of it for multiple purposes. As a reflecting pool, a place to work out, an area to relax, and a touch of dramatic lighting can all be provided by such a feature. Raised garden beds are excellent ideas for the backyard to incorporate a place to raise your own fruits and veggies. They provide spacial awareness in order not to get too enthusiastic in your planting, and also help keep certain plants separate from one another. 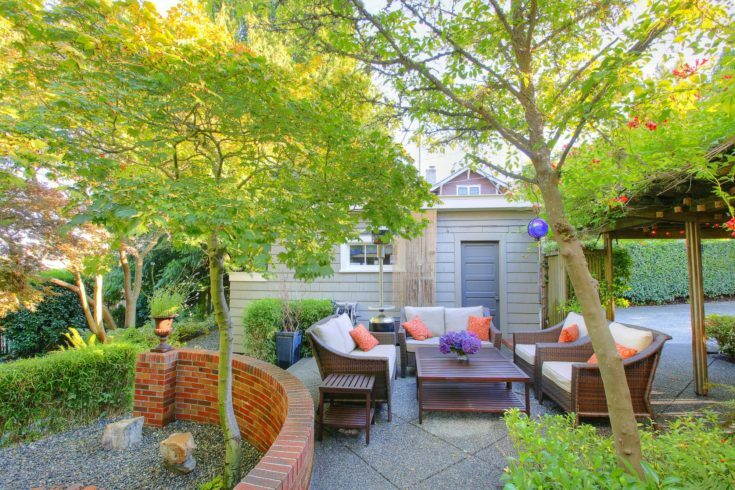 Backyard design ideas can most definitely be applied to a smaller space. Tall fences can provide depth, and an illusion of more room rather than providing a feeling of being closed in. 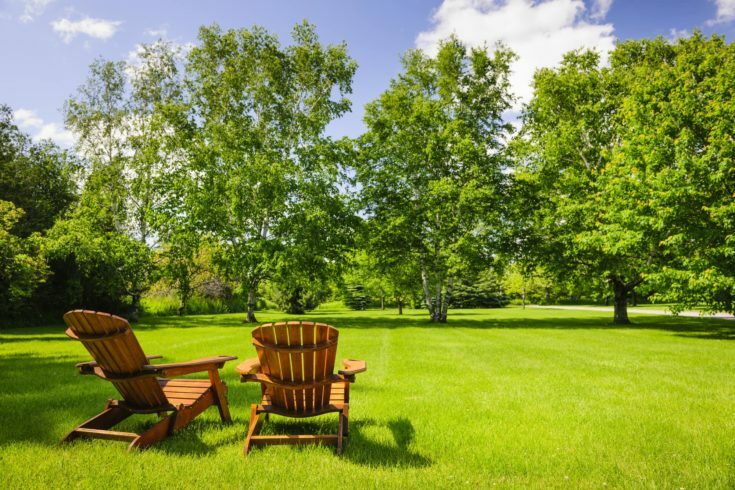 This is especially true if you utilize your space with lawns and garden plantings. 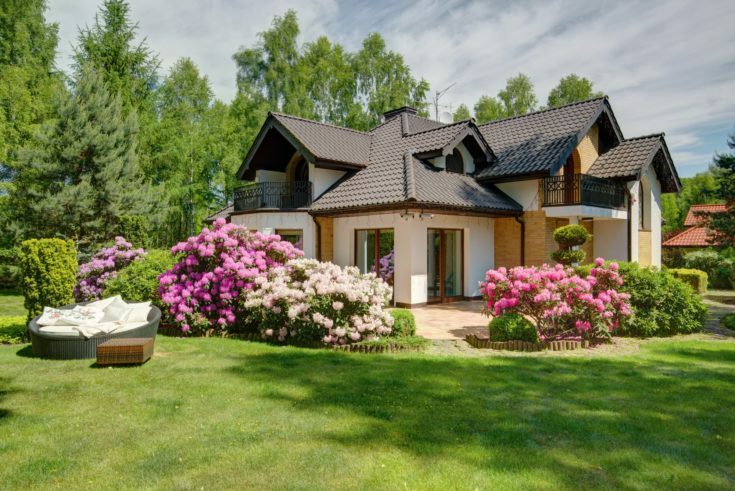 The idea of xeriscaping, or desert scaping, is to avoid any type of vegetation that requires a lot of watering and to help simplify the maintenance required for upkeep. It also helps provide year-round interest and texture! 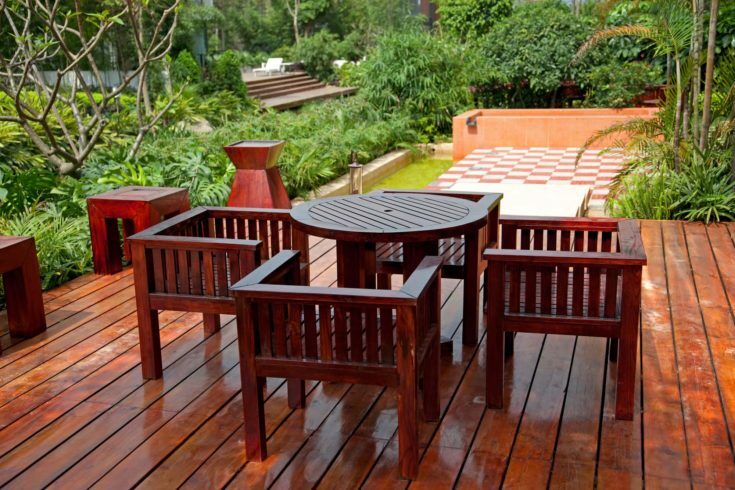 Decking choices do not have to be long, wooden planks. They can be quite decorative when a flat foundation is provided, and are available in many different textures and material designs. 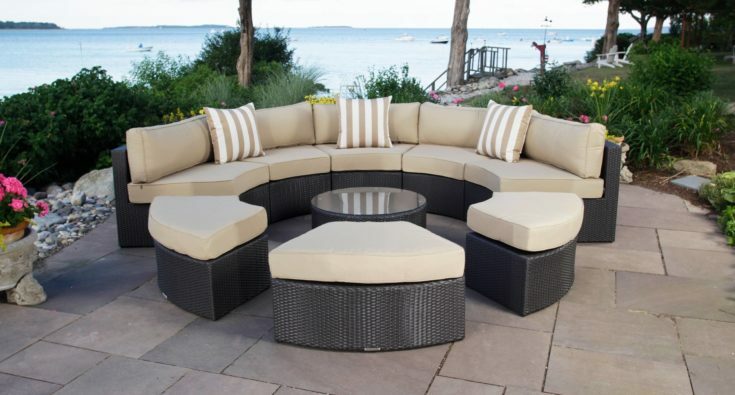 Rounded sectional seating is a great way to provide a welcoming, and inviting area for your guests to relax upon. Look to place it where the view is wonderful, and where you all can enjoy your surroundings. 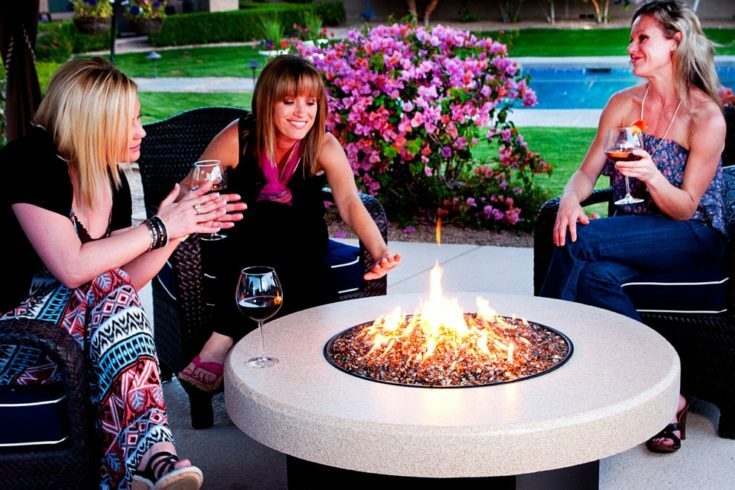 Fire pits are the quintessential way to provide a warm gathering are no matter what the season. Play with a different style to provide an area to place food and drink, and also consider gas-fed flames to control the height and heat put out for seasonal changes. Garden beds can be varied and dramatic through the use of both placement and choice of plantings. Try using dramatic vegetation of various height, color, and texture as main focal points and then fill in space around them. Built-in jacuzzis are a great addition to your gathering area for year-round enjoyment, relaxation, and tired muscle relief. Be sure to include easy panel access for maintenance, and a cover to avoid having to clean it out more than you have to. 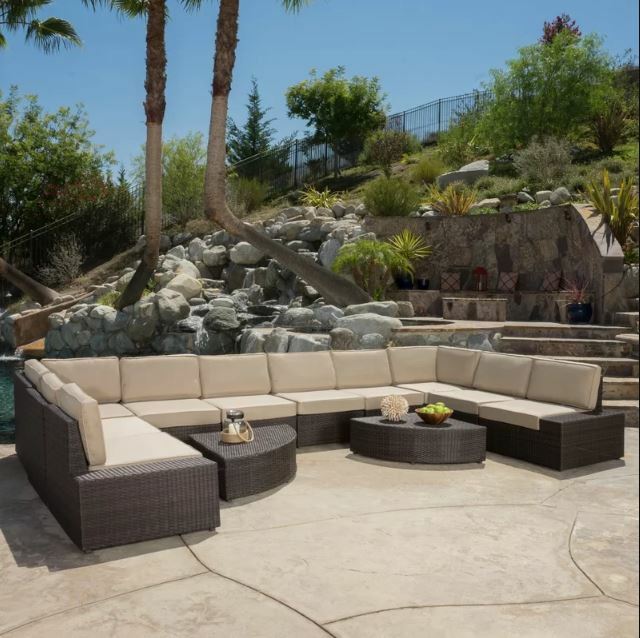 This rocky, rustic sitting area is completed through the use of more contemporary, modernesque looking seating. Don’t be afraid to mix and match styles to provide a pop of color or interest. Fill your open spaces with garden plants, mixing and matching heights, colors, and textures for dramatic views. Sometimes well planned, ‘wild’ looking gardens are the most fun to gaze upon and enjoy. 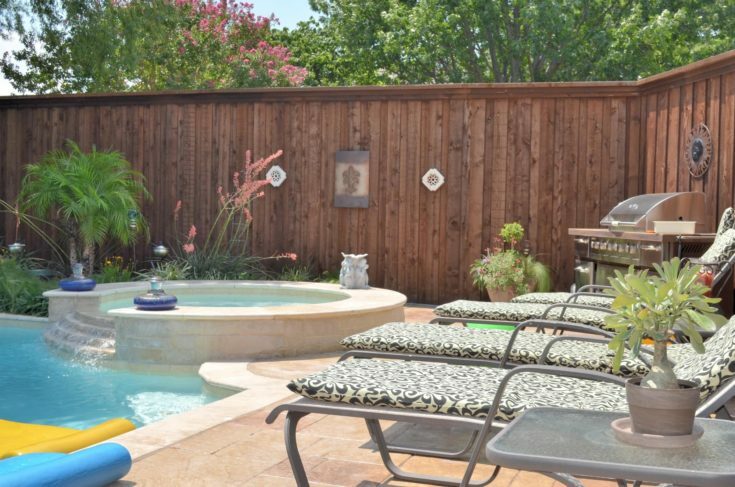 Your backyard can be your own poolside oasis. Custom pool designs can be made to fit any shaped yard or to fit any need or want you to have. Specialty materials, tiles, decorative touches, and zero entry slopes for your children can all be easily incorporated. 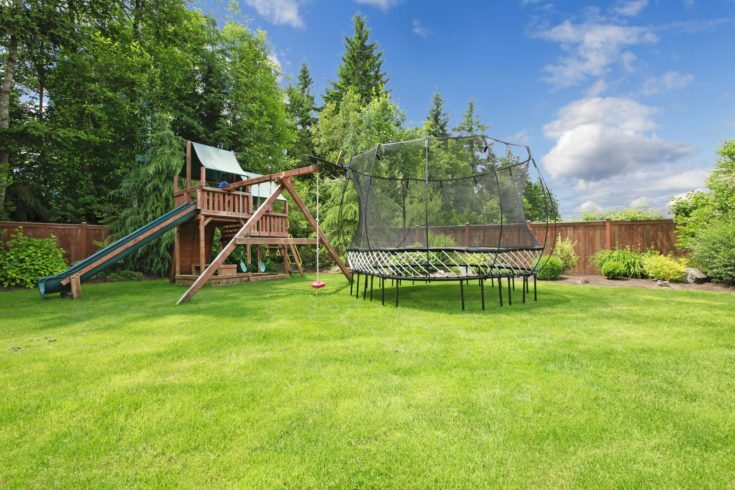 Provide a place for your kids to roam and play, and if you need to, keep it designated and away from other areas of the garden to keep from damage happening. Most children are happy to play within what they call their own, and this provides you peace of mind from damaging tender plants or those coming into harvest. 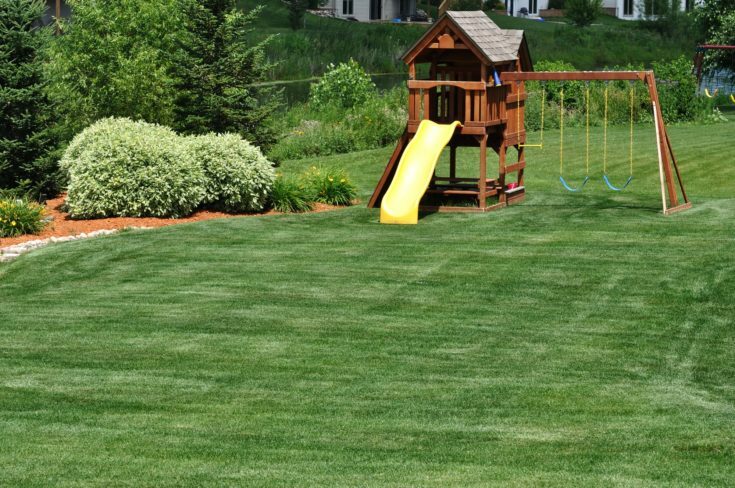 Synthetic lawns have come a long way from the simple turf designs of 20 years ago. 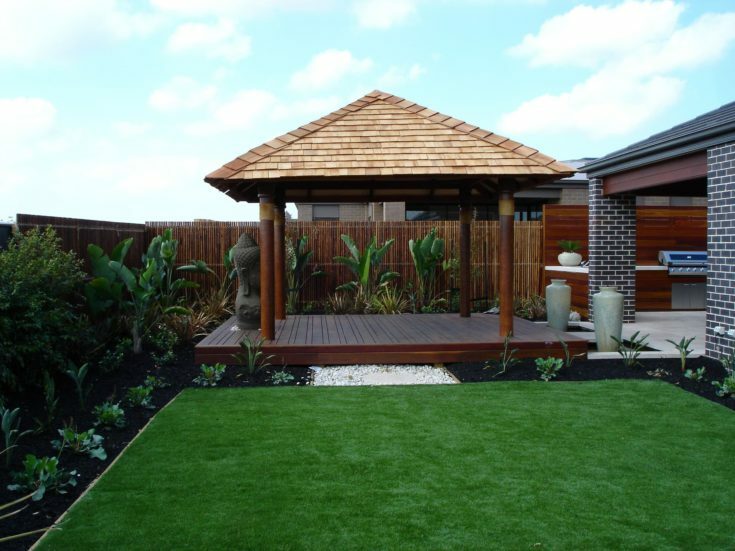 Artificial lawns now look very much like the real thing and come in a variety of different colors and textures. If a lawn is what you want, but the care is not, this might be a consideration. Create your escape on your property with comfortable seating and a quiet place away from it all. Add some structure for both privacy curtains, and some romantic evening lighting that is sure to become a favorite place to hide away in. 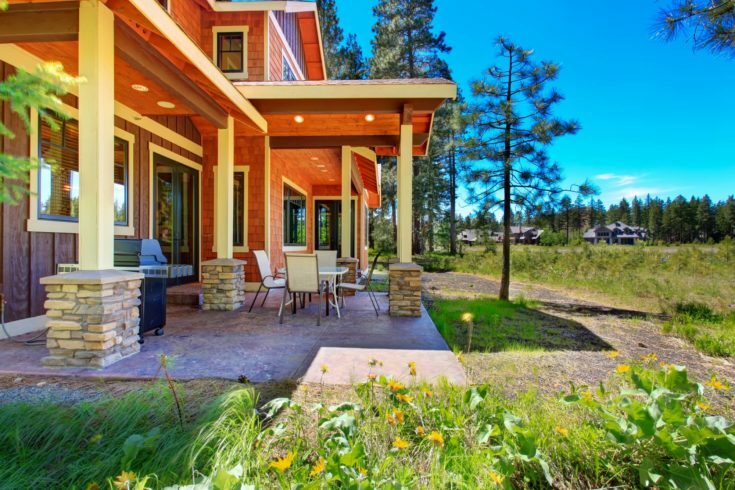 If you are lucky enough to live at any elevation, take advantage of your views to provide a stunning backdrop to your favorite outdoor activities. Whether you are being social or curling up with a good book on your own, the vista is sure to influence your peace. 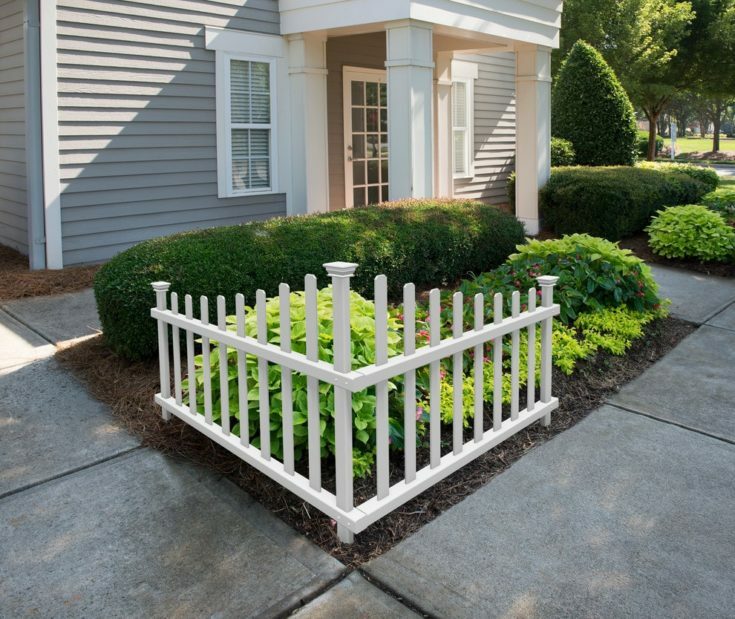 Protect any plantings you have along edges of driveways and sidewalks from passing children and cars with corner picket fences. 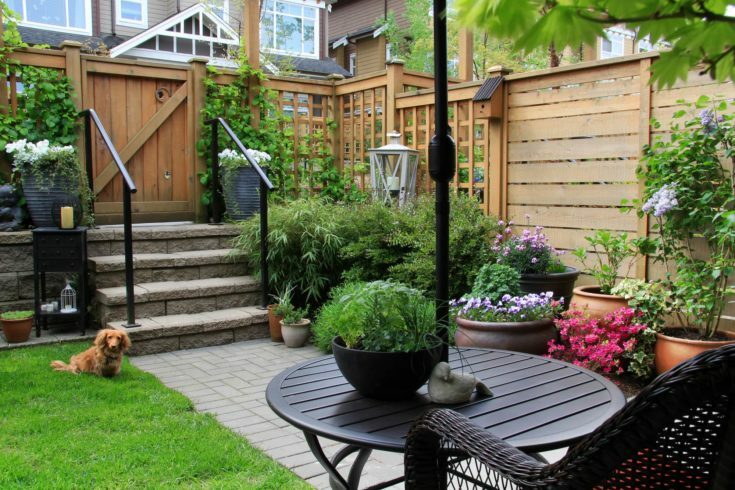 If a full fence is not wanted, but the benefits are, this simple look is elegant, and useful at the same time. 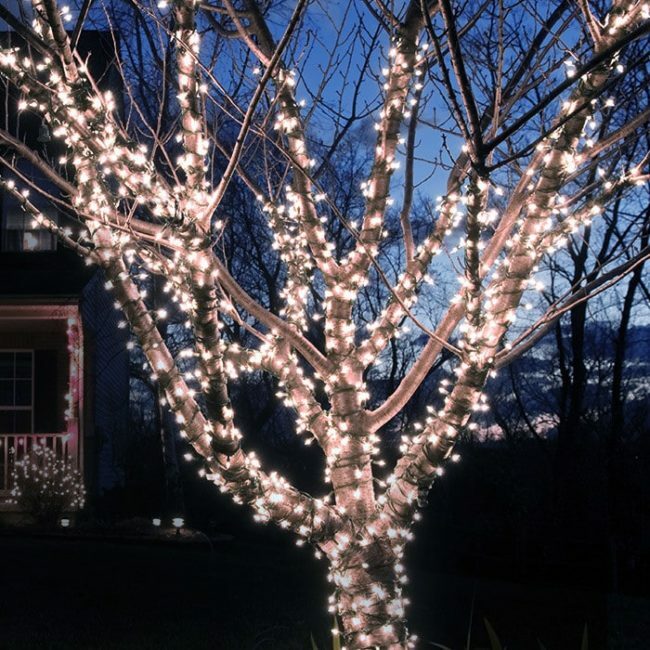 Fairy lighting is a year-round event anymore, and whether you wrap your trees in sparkling whiteness, or allow lights to gracefully hang from your pergolas, porches, or dormer eaves, they are sure to provide you a welcome home each evening. 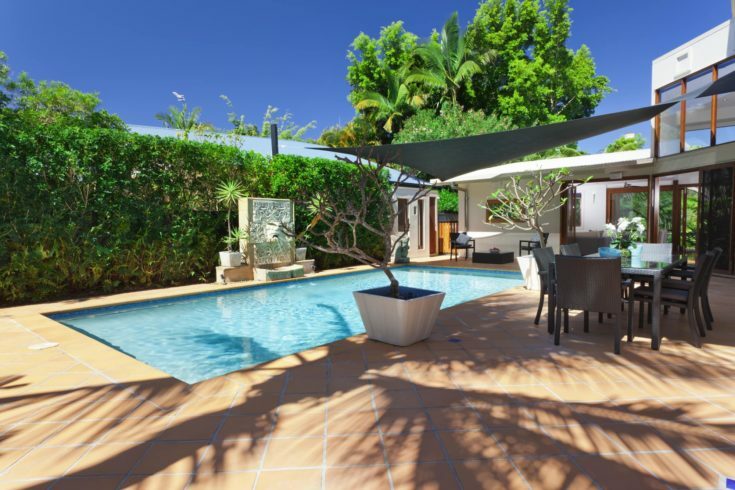 Landscape your pool area to mimic a tropical getaway. You don’t have to take an expensive vacation to sit by a pool and listen to the wind rush through the palm trees, instead find a version that works for your climate and sit back and enjoy. Rock details to your walkways, stairways, and sitting areas bring a touch of rustic, as well as elegance to your space. Consider using variations in texture such as stone, brick, and stucco when planning your area. Although the pool itself looks fairly modern in design, the rock waterfall at the far end helps create a seamless transition from the patio to the landscape beyond. Plan for aesthetically pleasing layouts for your property. 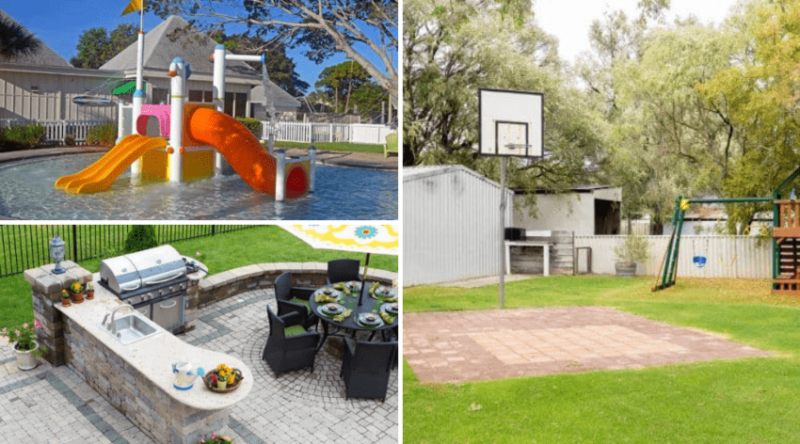 A place to cool off, BBQ, entertain, and kick a ball around is easily encompassed in a yard layout such as this. 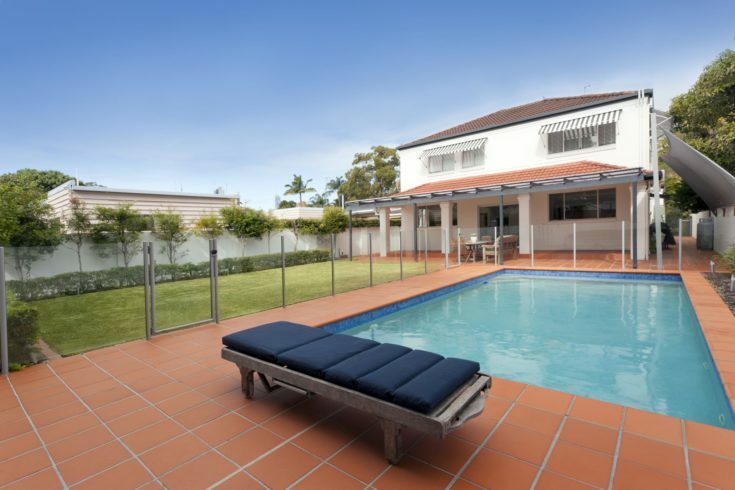 Protective fencing keeps an open look to the yard while blocking the pool off from pets and young children. Pools are easily incorporate into landscape designs to look as if they are a part of the nature surrounding them. The trees here are a perfect backdrop, and the incorporation of a small garden bed in the foreground helps it look as if it is a forest pond. 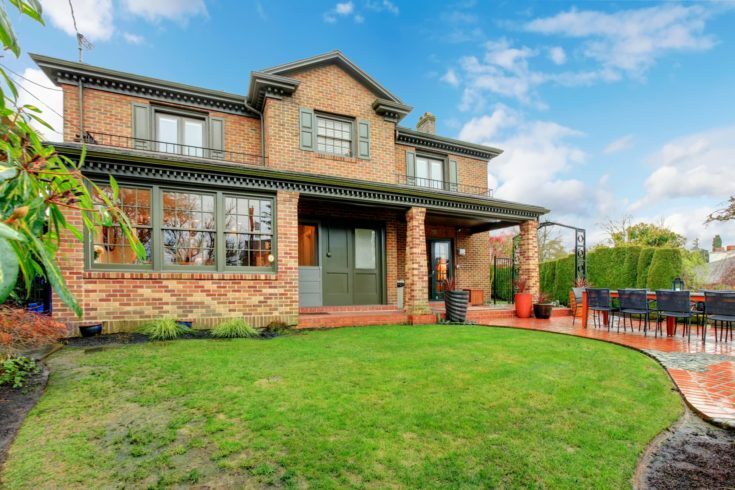 No matter where you live, if you have a brick home, incorporating the colors into your landscape planning for patio sitting, driveway, and garden bed vegetation always provides a classic look. Some well-chosen blooming perennials to provide a stunning backdrop is never a bad idea. Pick a color or two as your main scheme, and then plant them in various areas throughout the yard as a pop of the unexpected. If you love statuary, don’t be afraid to showcase it! Try to stick to one or two main features rather than too many to avoid them drawing attention over the rest of the yard. You want them to be a part of the overall experience, rather all anyone notices. Many people don’t realize that you can mix and match the many hues of wood with one another for interesting color transitions and textures. Uniformity can be boring and uninteresting and is rarely found in nature. Instead, mix it up and create your own interesting area. Your lighting choices are personal and belay a sense of decorating style. 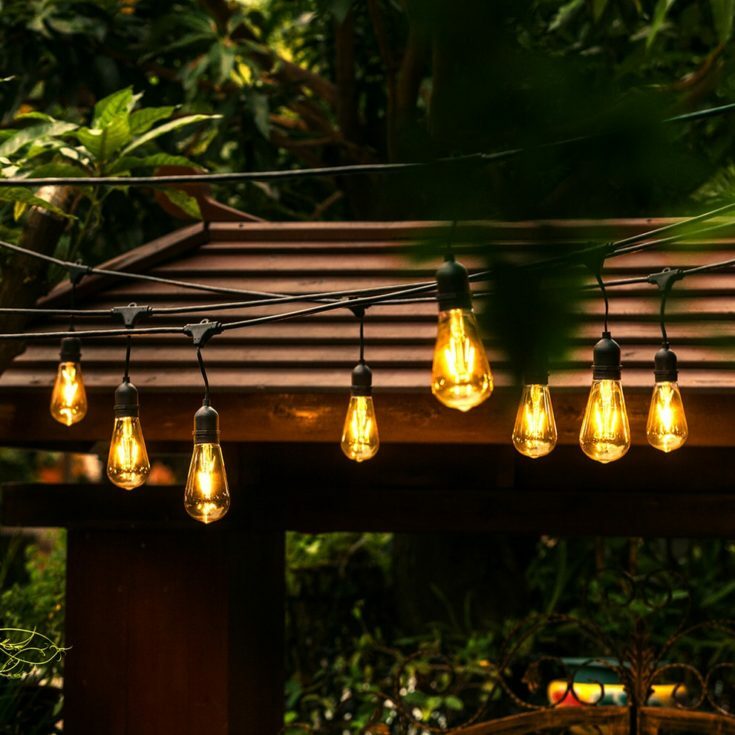 Whether you mix and match designs, or provide uniformity to help light up your dark corners, they are a must have for late night porch sitting. Edison style bulbs are a popular way to provide a touch of old-fashioned elegance due to the soft glow they provide. They are readily available to string across your porch or be placed in existing lighting solutions. 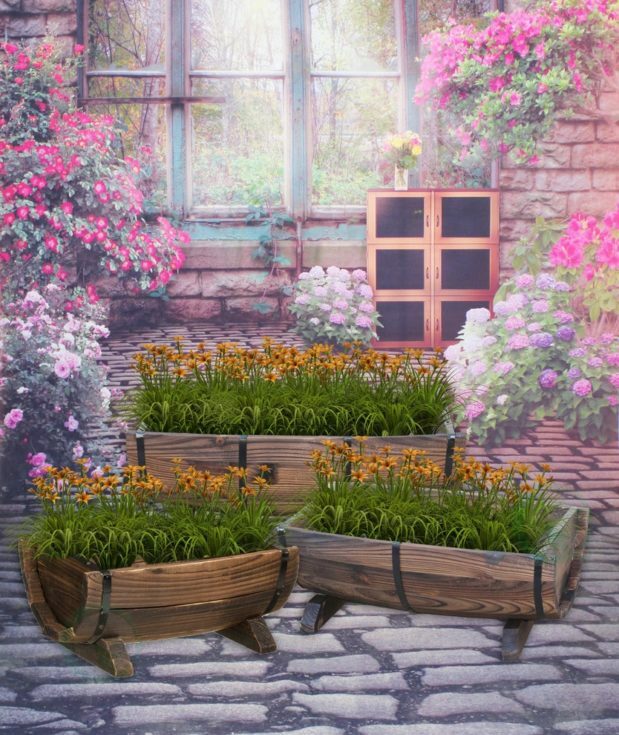 Container gardens are a fun way to incorporate backyard decoration ideas into the yard no matter how much space you have. They also fit well on porches and decks or provide a touch of the unexpected amongst your existing garden beds. 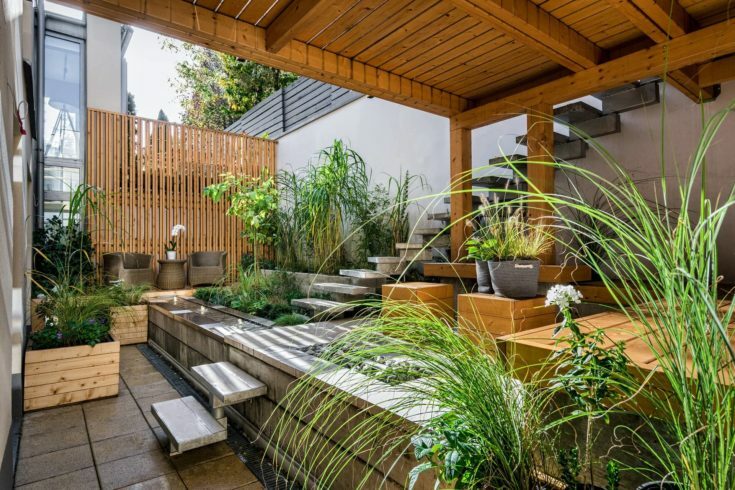 Suburb dwellers often live within close proximity to others and struggle to find a balance in their landscaping design that incorporates privacy. 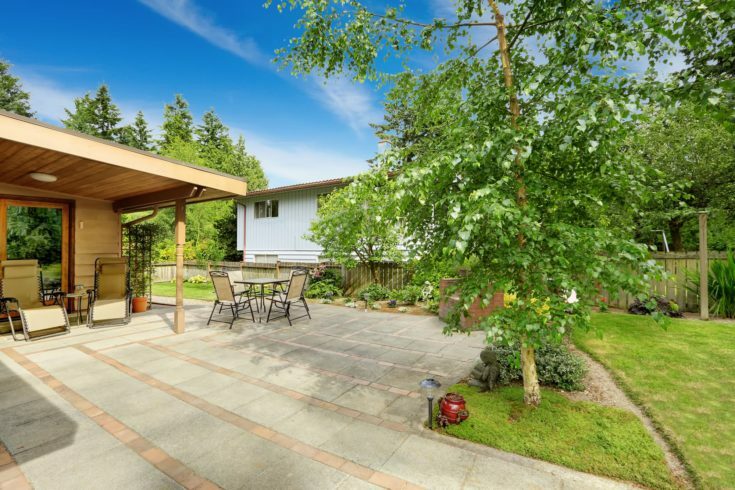 Don’t be afraid of tall fences, and partial pergolas that cover and protect your outdoor areas so you can enjoy them to the fullest. 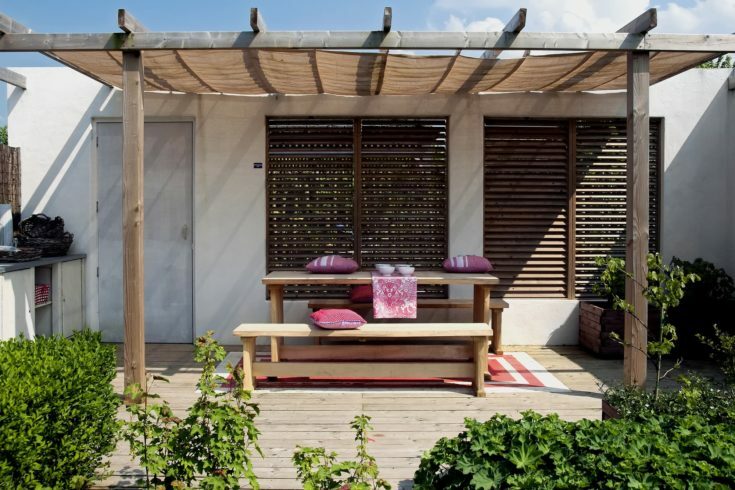 Even small yards can benefit from protective outbuildings and areas out from under the sun. 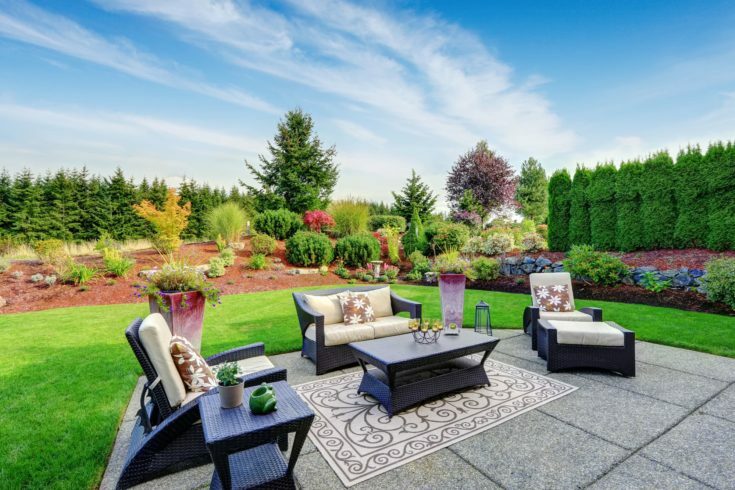 This is particularly important if you live where the sun can quickly begin to create an unpleasant experience, but you still want to enjoy your outdoor space. 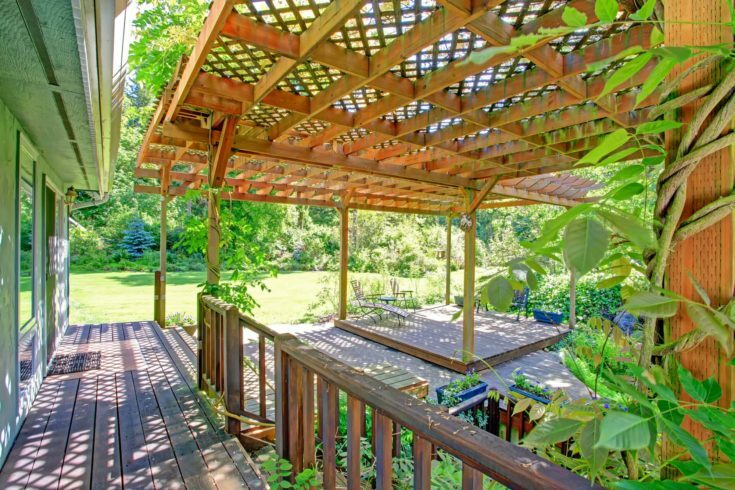 A well placed, sturdy pergola can quickly become a living privacy screen or structure. 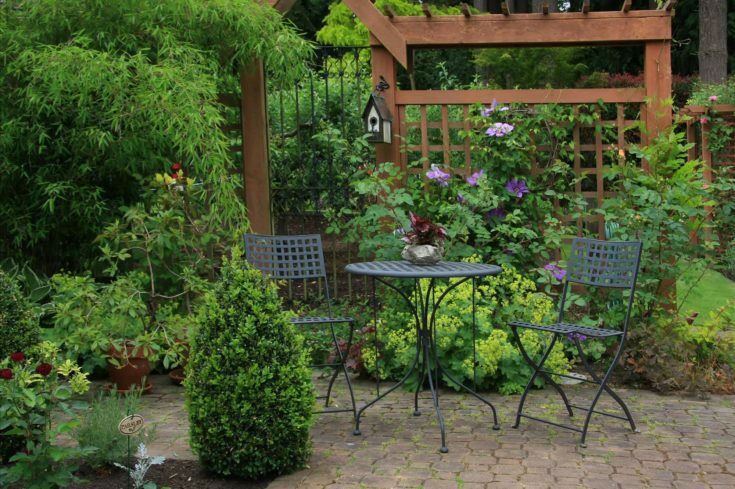 Grow large perennial vines to provide textural interest, colorful blooms, and privacy to your outdoor living areas. 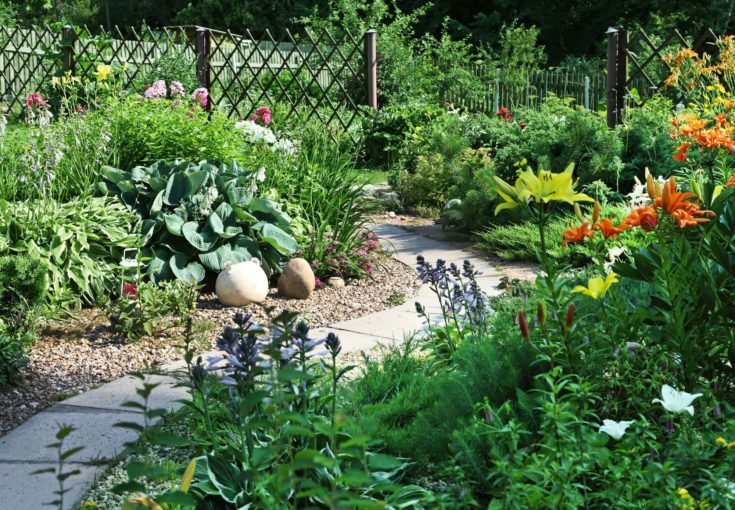 There is no shame in deciding that a vegetative ground cover and garden beds are not for you. They do require consistent maintenance and care, and if you are willing to invest in a paved area, it is well worth your money. Stucco traditionally is painted a light tan, to medium brown color, but the Mediterranean trend of painting it white is starting to take hold in the US to create stunning contrasts and excellent backdrops for vegetation. Many pools that are built above ground are difficult to access to use and clean. 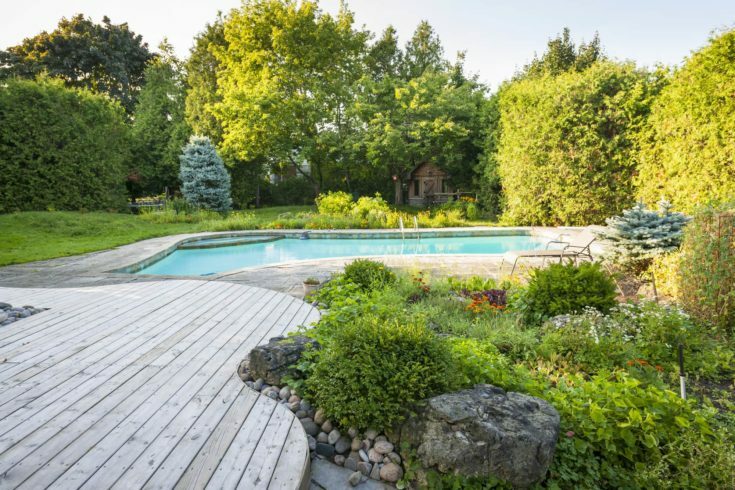 Many people don’t consider the use of a deck with an above ground pool, but as you can see, it provides an excellent opportunity for ease of use. One man’s trash is almost always another man’s treasure. 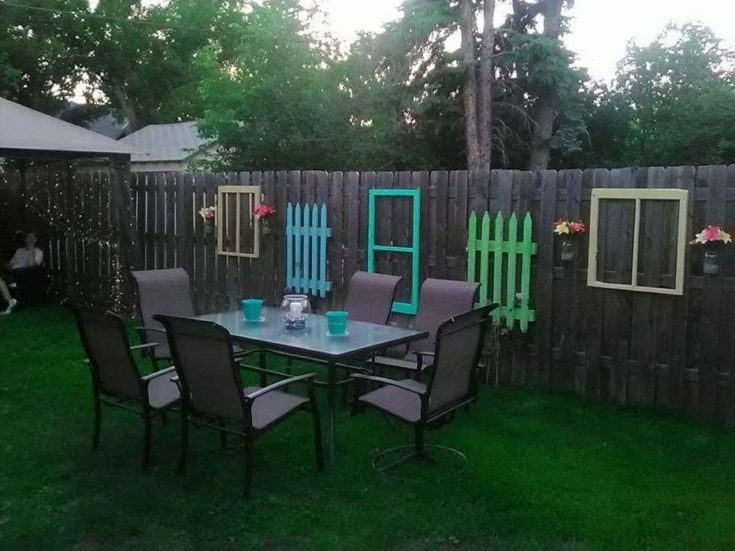 Old windows, fences, and even tires can all be recycled to reflect your own personal, decorative touch. These often create whimsical decor ideas worth considering. If a traditional stairway to and from your decks will cramp your design style, consider an alternative take. These floating staircases allow for a more unique place that is incorporated into the landscape design. Evergreens are an easy way to provide a tall backdrop to your yard. Most grow at a fairly quick rate overall, are easy to maintain, and provide excellent privacy. They spread out and grow well together no matter what the species you get. 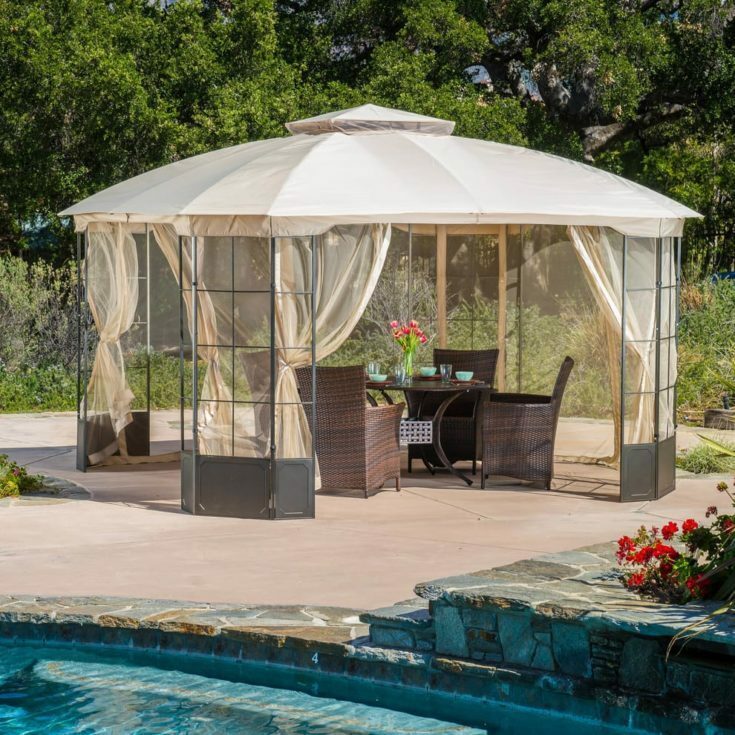 If you would love to have a gazebo but worry about seasonal weather, there are excellent styles that are temporary, and easy to take down, And put back up when the time is right. Sail shades are temporary and easy to install with a bit of tool knowledge and a place to anchor your lines. These are wonderful solutions for areas that need a bit more protection from the sun for enjoyment. 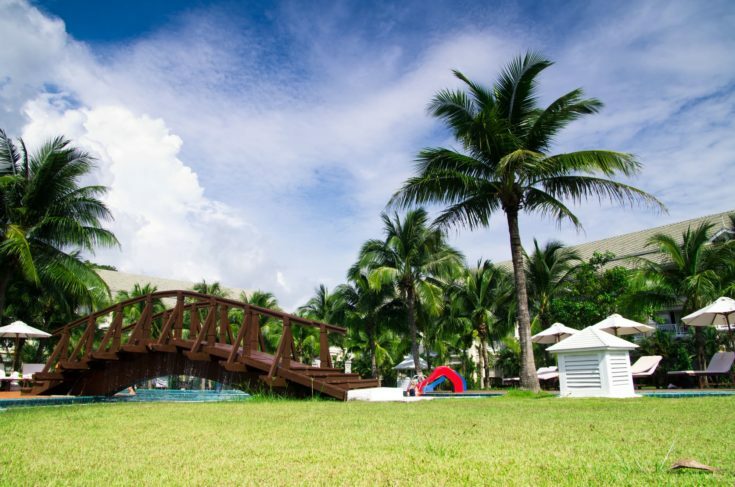 You can create your own tropical getaway with some careful poolside planning. 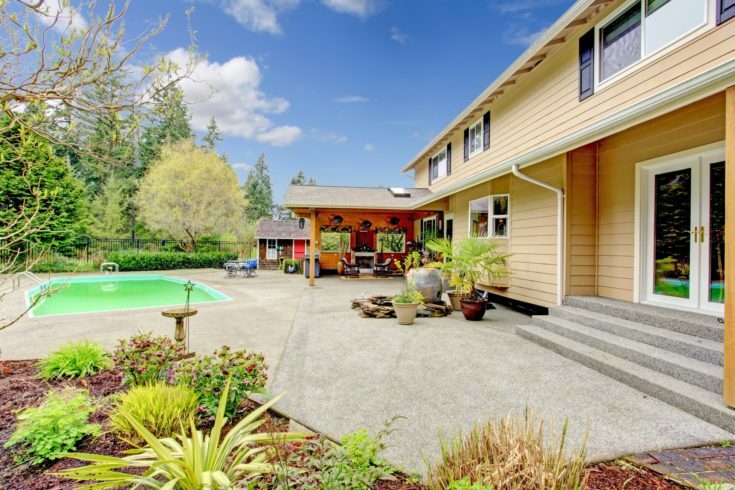 If you want to dig up your backyard, get with a reputable pool installer and don’t settle until you have exactly what you want for your own backyard enjoyment. You don’t have to dig a hole to have a wishing well as an attraction in your yard. They can serve as a main focal point, or be tucked into vegetation, and serve as a lovely addition to your yard. 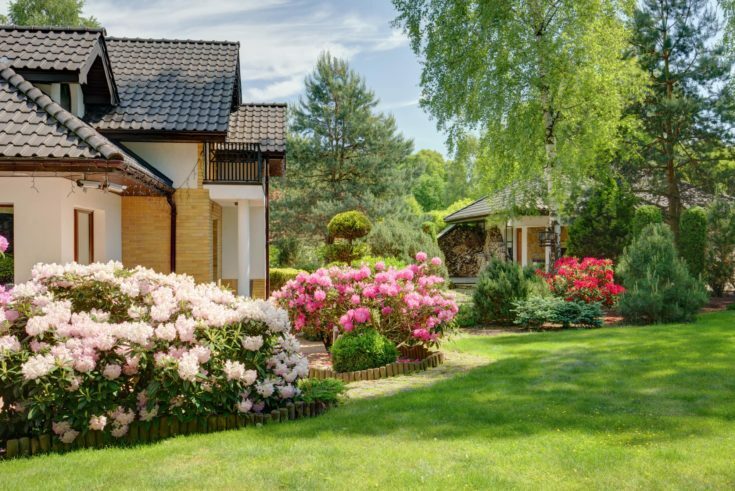 Your own yard should be a place you want to be. Allow separate areas to rest and relax with, and to take advantage of the space you have. 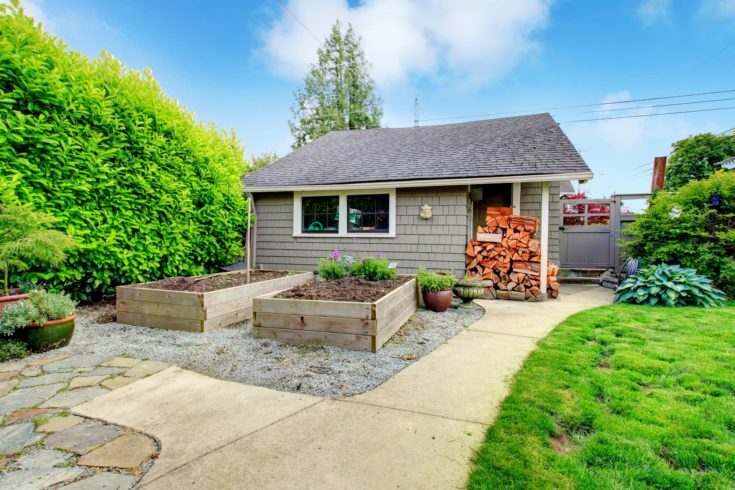 You want to be able to use your yard, not only have it to showcase the work you’ve done. 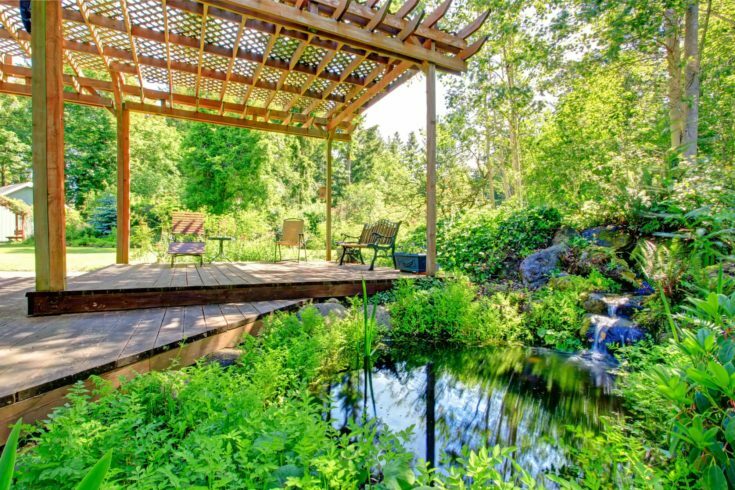 Pergolas provide a dual purpose: they give structure and support to your landscape design and provide a shaded, breezy area that can be taken advantage of in even the warmest of weather. 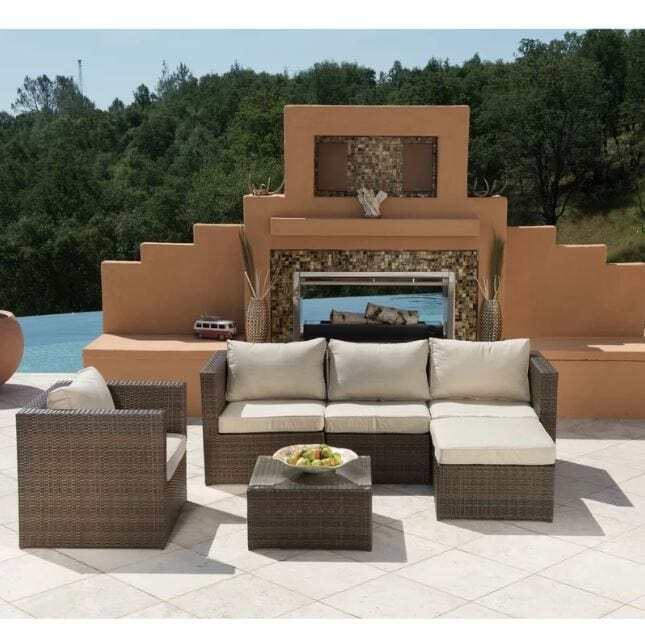 The excellent weatherproof furniture now available to use for your outdoor living spaces is varied in design and can fit anyone’s decor expectations for design and comfort. 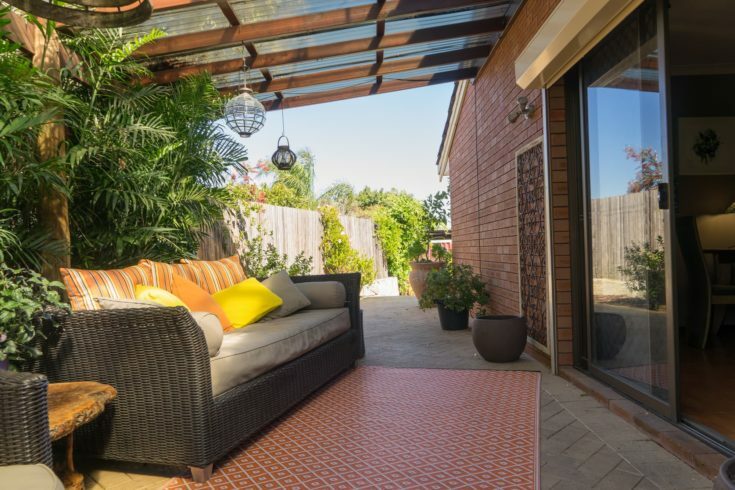 You can now make your patio a true living room like space for enjoyment and entertainment. 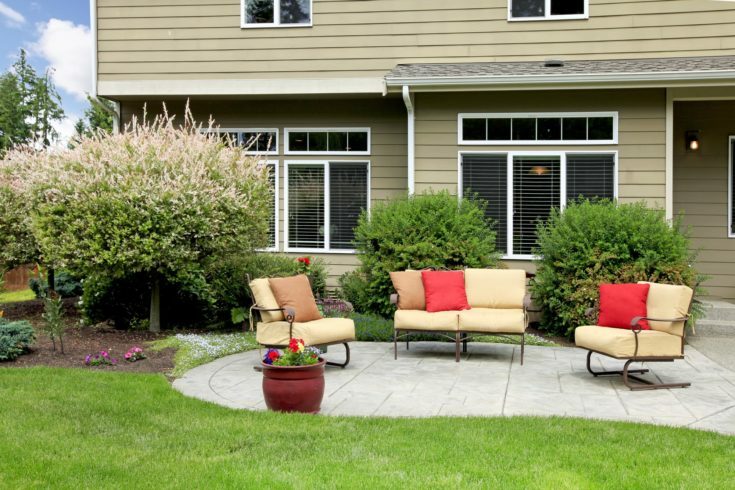 Create small seating areas wherever appropriate to create a welcoming look. Whether you take advantage of space at the front of the house, or towards the back, doesn’t matter as long as you can gather and enjoy. Living along the fringes of the woods provides some interesting, and unique opportunities to incorporate nature into your landscape planning. Marked walkways and simple garden borders help you blend the two areas together seamlessly. 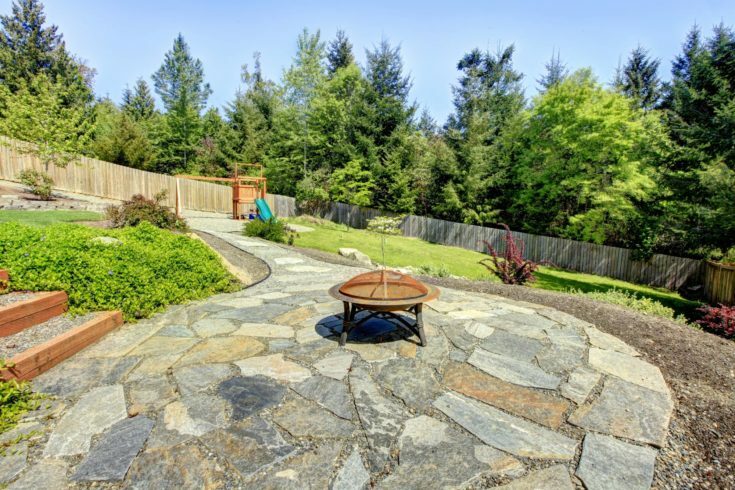 Rocky walkways and patio designs can be made to purposefully blend into the landscape to provide the illusion that it is a natural occurrence. 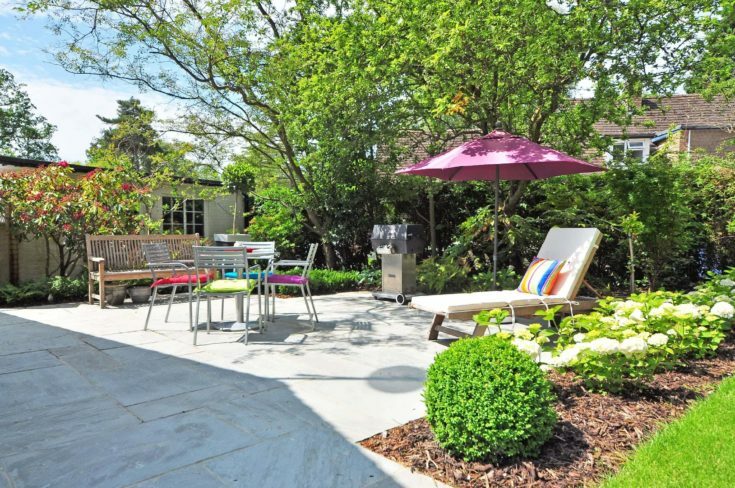 These areas require very little maintenance and are wonderful for evening gatherings. Choose seasonal blooming perennials to provide year-round color to your property. Early bloomers include bright rhododendrons and azaleas, some of which can get quite large! Be sure to space them out in order to enjoy their many large blooms. 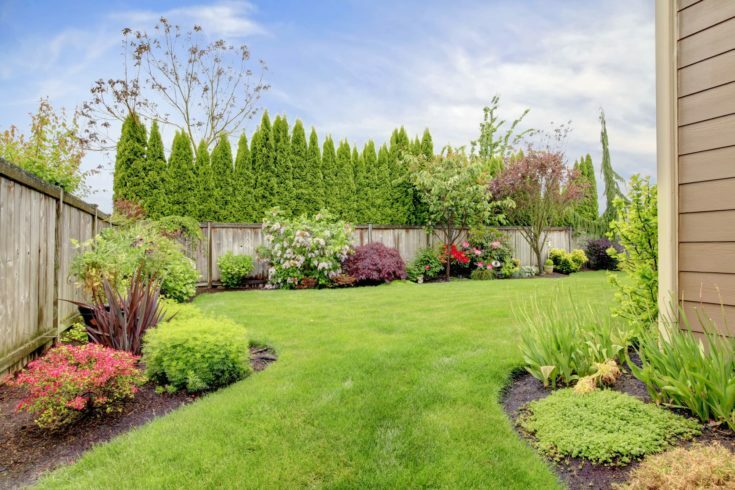 It’s okay if you do not have a lot of time for landscaping upkeep, and love the look of a well-manicured lawn. 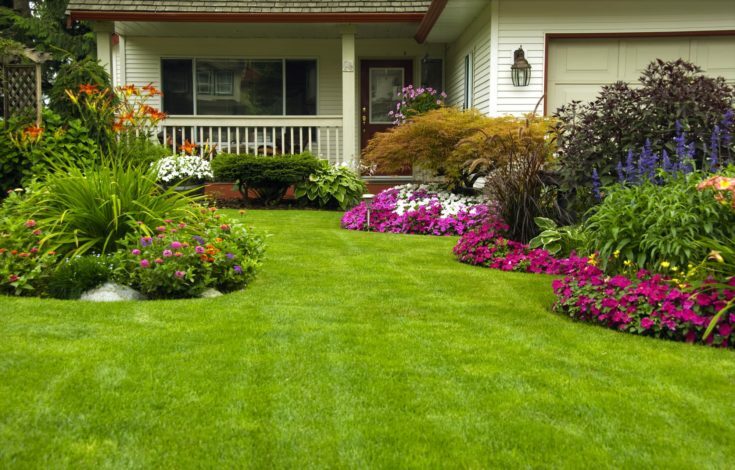 Simple lawn care involves mowing and trimming, and the occasional fertilizer application. 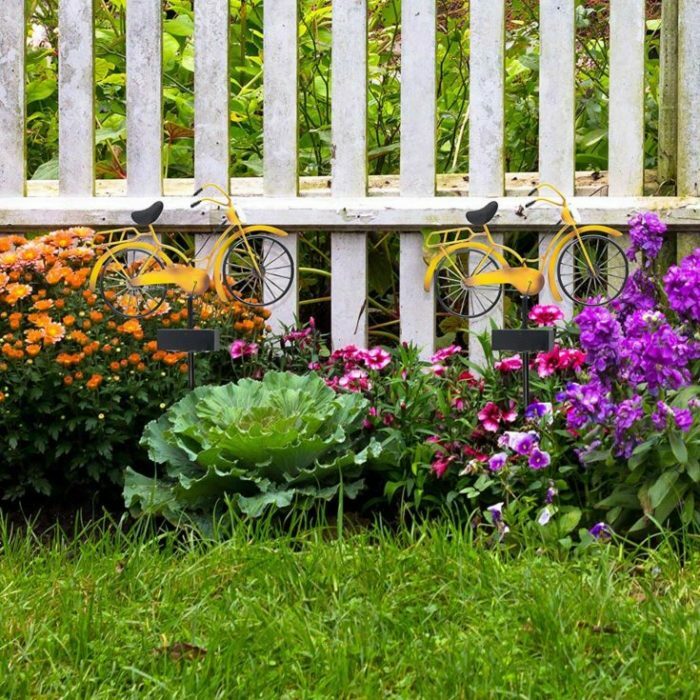 Tuck your home away in a cottage garden with beautiful blooms for privacy and eclectic appeal. 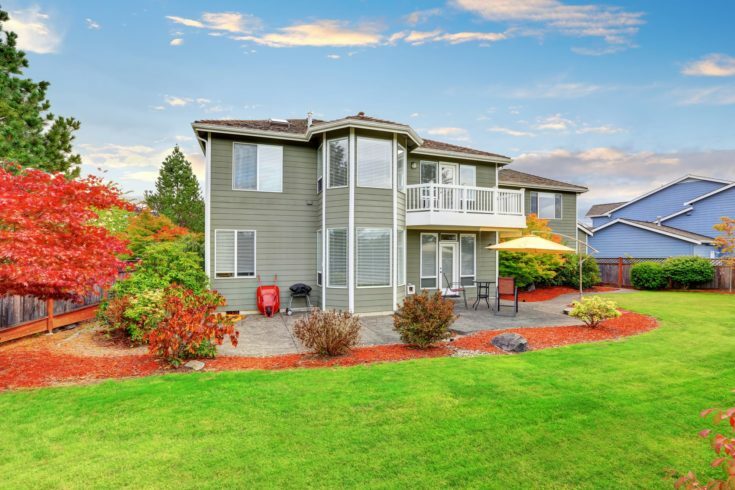 Landscaped laws are the perfect addition to provide a welcoming walkup. You can also provide various places to relax and enjoy a yard of this size as well. 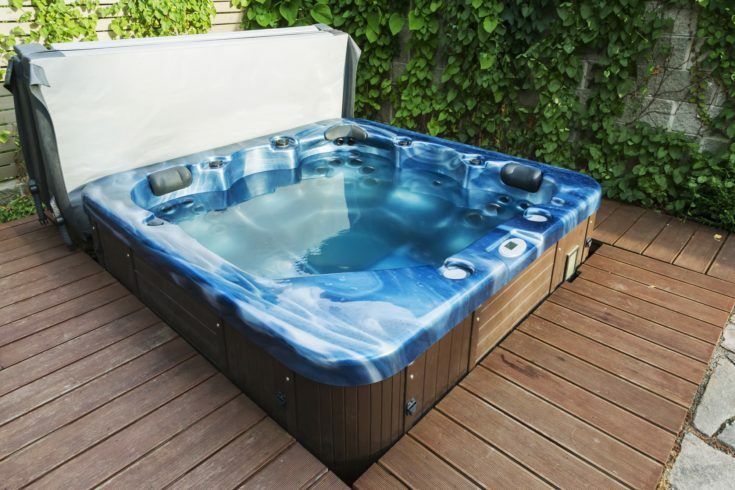 Hot tubs are a popular way to unwind and de-stress after a long day. They are fairly easy to maintain and come in a wide variety of sizes and styles for your own personal needs and decor tastes. Water is a peaceful, tranquil addition to any landscape, and often draws in the highly sought after birds and pollinators to your yard. The trickle of water is very soothing, and also provides a sense of privacy. Fences come in all shapes and sizes, and many people fall victim to one style due to a lack of knowledge of choice. Different wooden hues are achieved through stains and can be used to help blend well into the architecture of your home. Owning your own property allows you to add in any type of product you may want without fear of reprisal from a landlord. 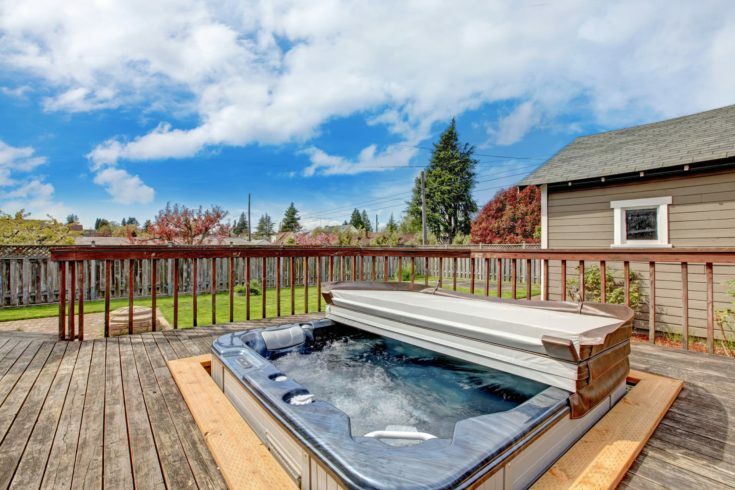 Pools and jacuzzi tubs are popular additions for personalized comfort and enjoyment. 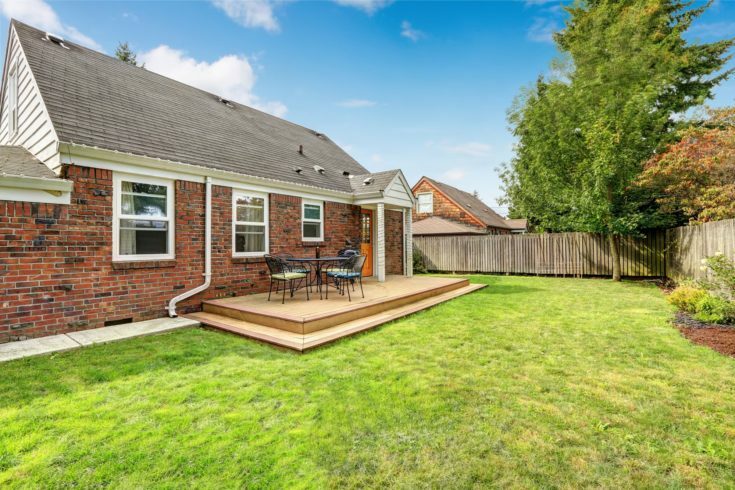 Laying out a bricked patio is a fairly easy DIY process if you are willing to put in the time. It is a classic look that brings you back to an era of days past and allows for a more cottage feels to your yard. Tuck a place to relax away behind your hedges as a hidden retreat. 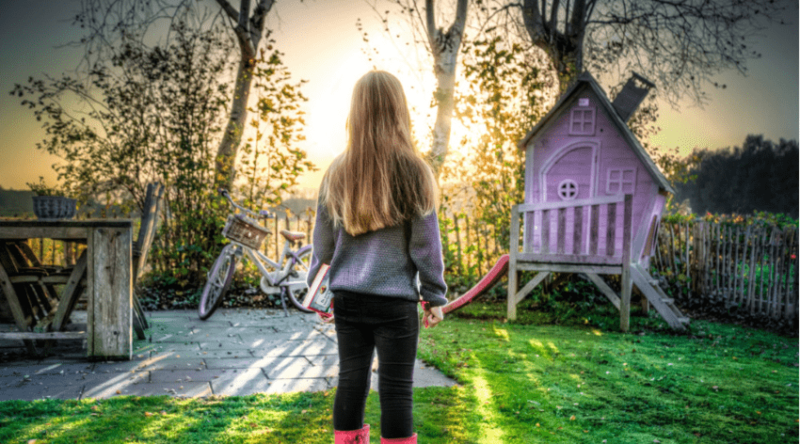 Muffle the sounds of the rest of the world, watch your children play, and enjoy your yard with a good book away from all the hustle and bustle. This simple walkout allows you to extend your home’s living area through wide doors to provide a place to sit and eat as a family or entertain as needed. 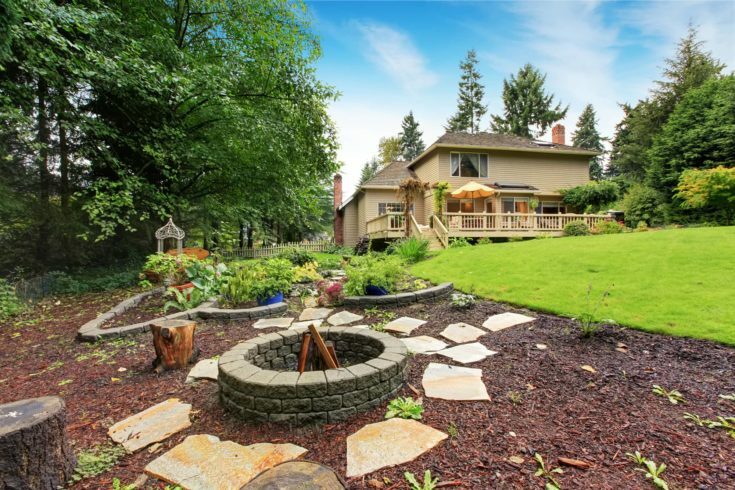 It overlooks the rest of a sloped yard that takes advantage of the gentle changes in topography. Your firepit may not always be welcome close to the house. The wrong breeze can quickly fill your house up with the smell of smoke, and so it is often best to place it away from any living areas. Take advantage of the many pool options you actually have for the shape of your backyard. 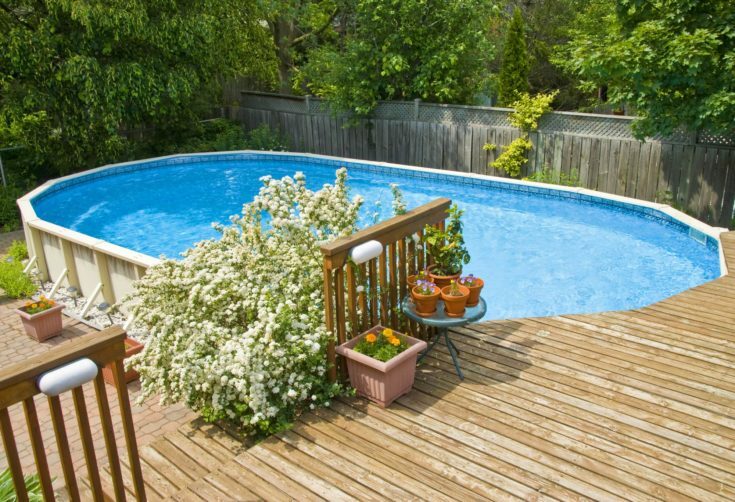 This lap pool nicely fills half the yard, while leaving plenty of lawn open for play or gardening. Add an extra pop of interest to your gardens with your choice of mulch. Mulch comes in many different natural hues to mimic various tree types. Mix and match mulch for dramatic differences from one garden bed to the next. Many pools are installed with children in mind to teach them to swim, water safety, and to cool off during hot summers. But don’t neglect the more mature aspect of this all. 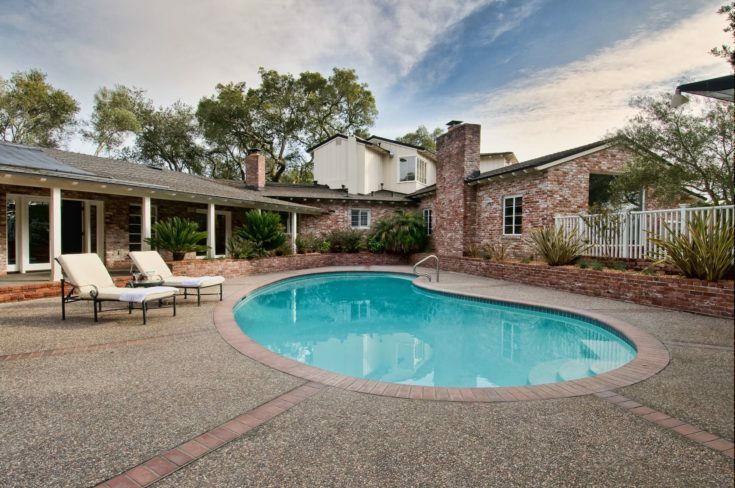 Hot tubs and lounging pools are a nice addition for the adults in the family. Your outdoor decor is just as important as your indoor and reflects a bit about who you are. 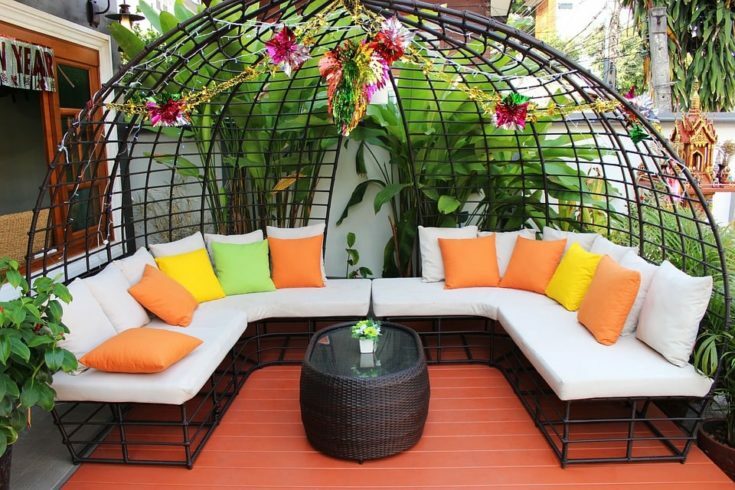 Color schemes pertaining to your patio furniture and layout is a fun way to express yourself. 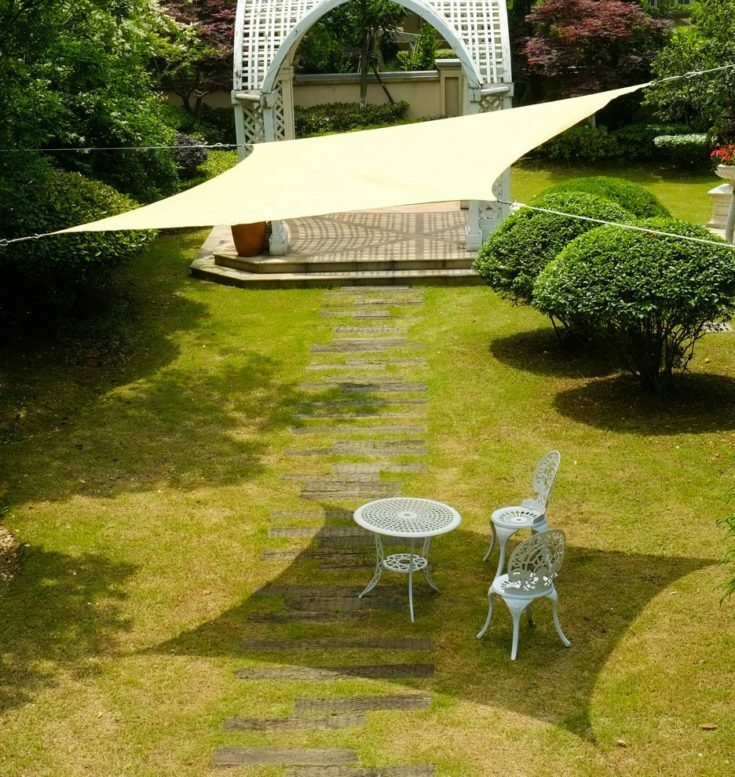 Sail shades, or similar materials that can be stretched out to provide a shady area, are very popular to use as they can be packed away easily, and used for seasonal changes. You can either build an area to use it in or use existing structures capable of holding it. If you have children you know the importance of providing a place for them to get their energy out. Places to climb, swing, and otherwise run wild will provide you peace of mind come bedtime. 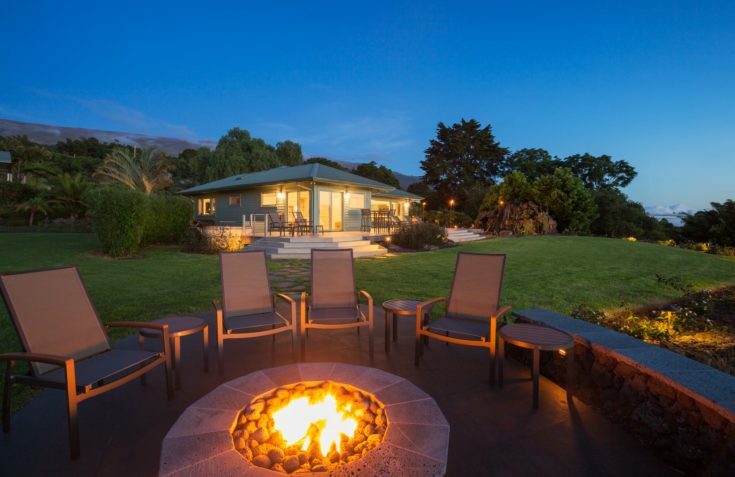 Your backyard design ideas should always include a place to BBQ and entertain. Why heat up your house every summer cooking indoors, when you can enjoy the fresh air and grill up something awesome? If you are looking to utilize your yard with high foot traffic and lots of movement for play and entertainment, consider concrete pads. These are easy to maintain and keep clean, and provide plenty of space for whatever you need it for. A trickling stream is a peaceful noise and can be easily incorporated into your landscape with a little bit of planning. 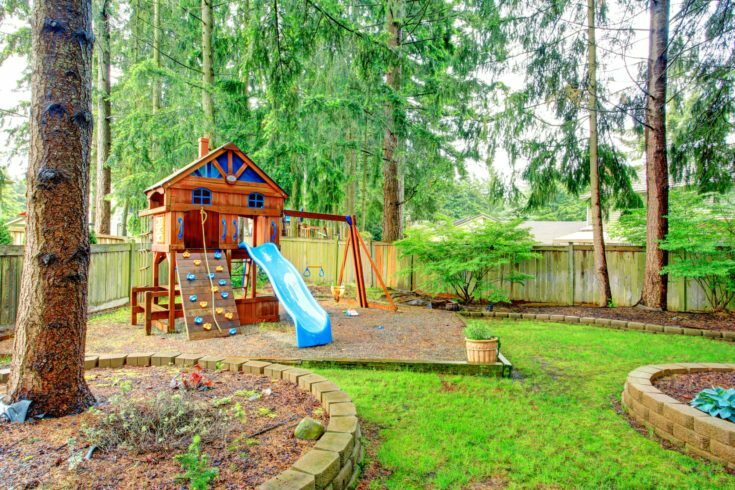 Use natural topography, or build up your yard to have some height to play with. More temperate climates often see an increase in extending the indoor living areas out of doors through much of the year. Open extensions of the house provide easy access to the yard, all while providing protection from the elements. 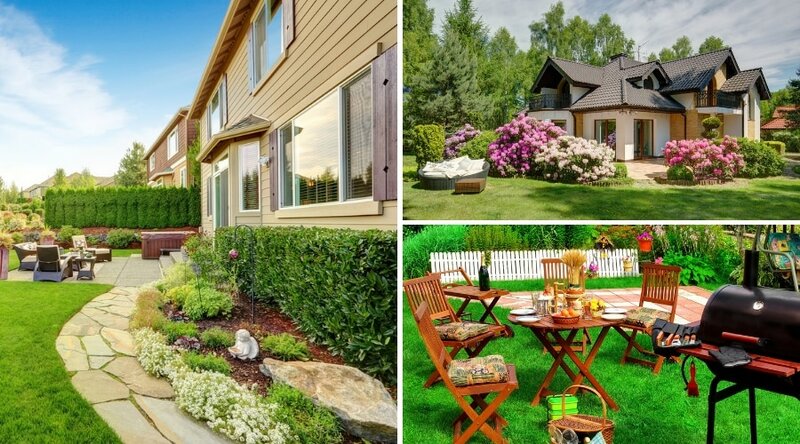 This was quite the comprehensive list of backyard ideas that you can incorporate into existing landscapes, or work into new designs. 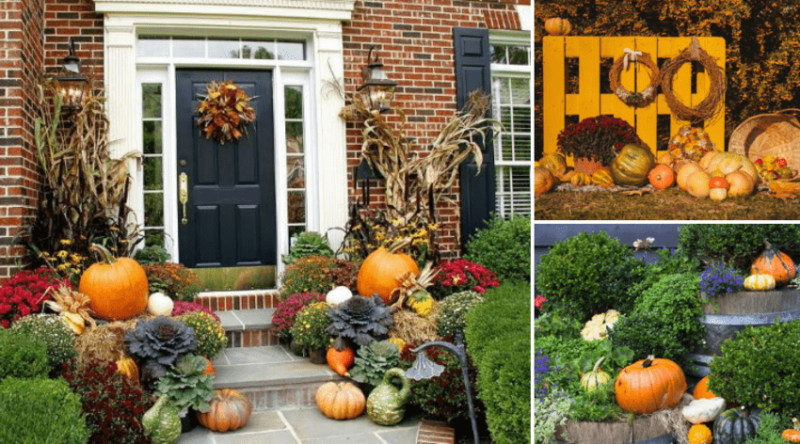 These examples are excellent jumping off points for your own brainstorming to make something to match your own decorative style. We’d love to hear below about which was your favorite, or what you plan on personalizing for yourself. And, as always, please share!